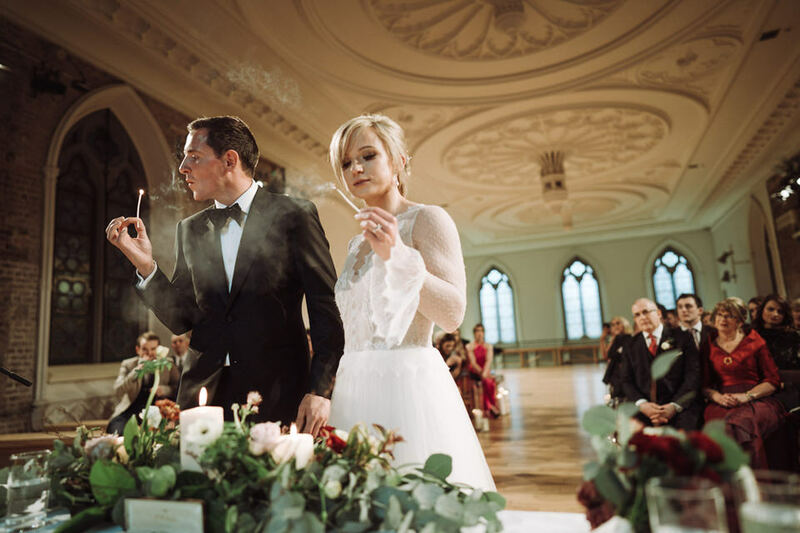 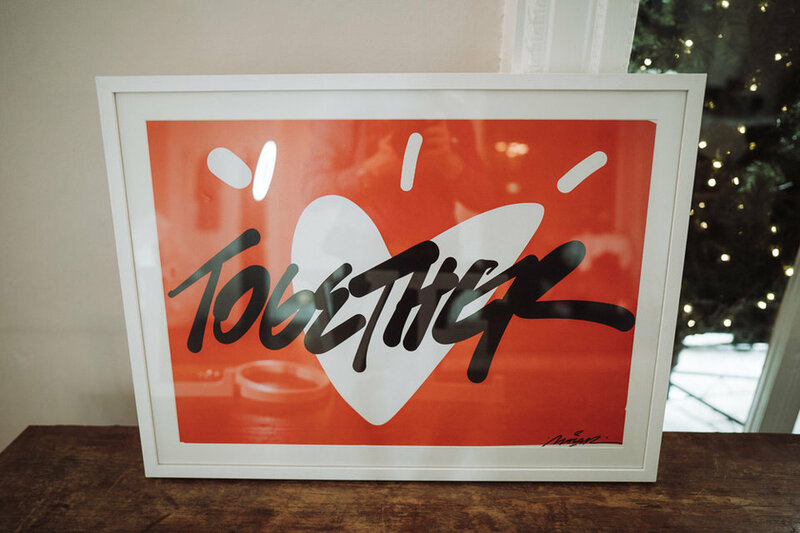 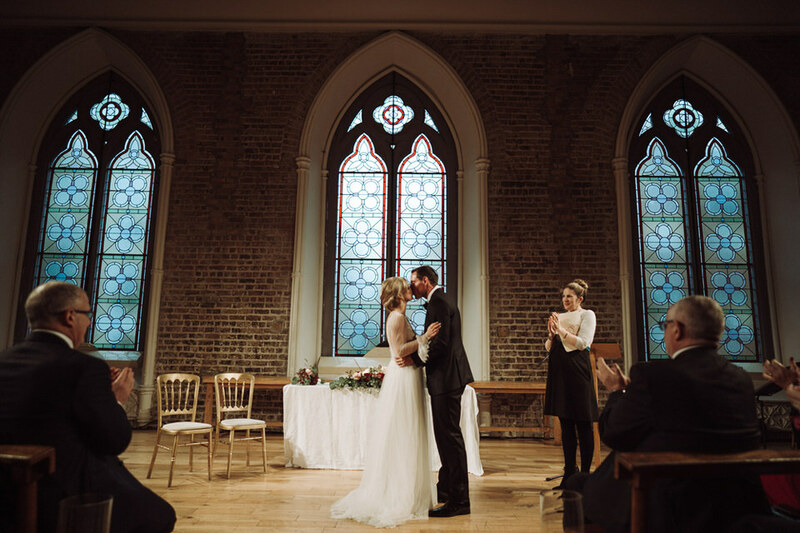 Pawel did an amazing job documenting our wedding. 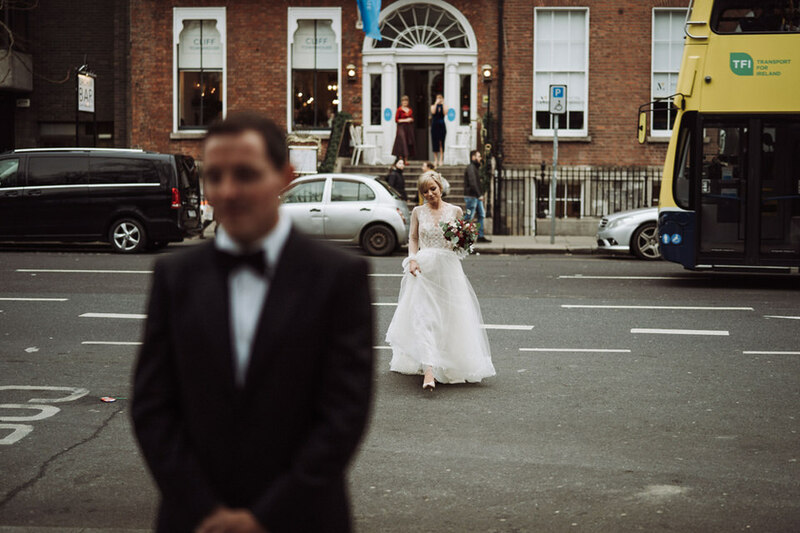 He arrived in the morning with no fuss – I hardly noticed him taking shots while we got ready for the day or! 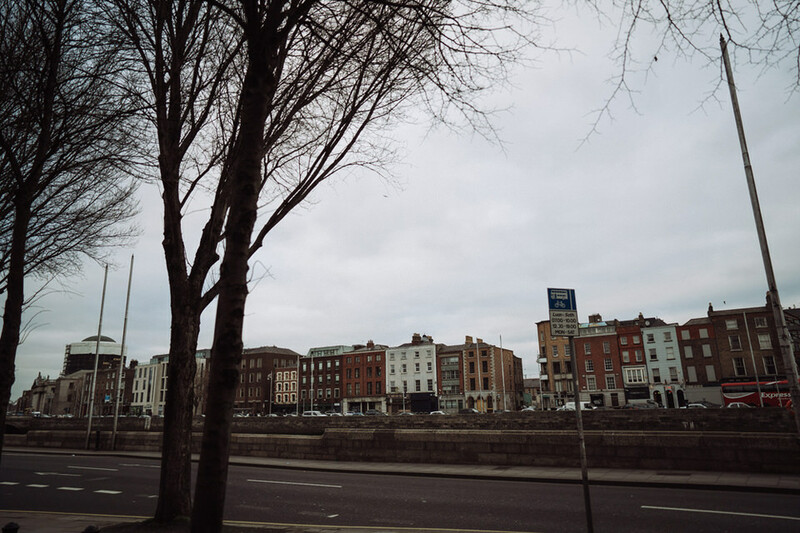 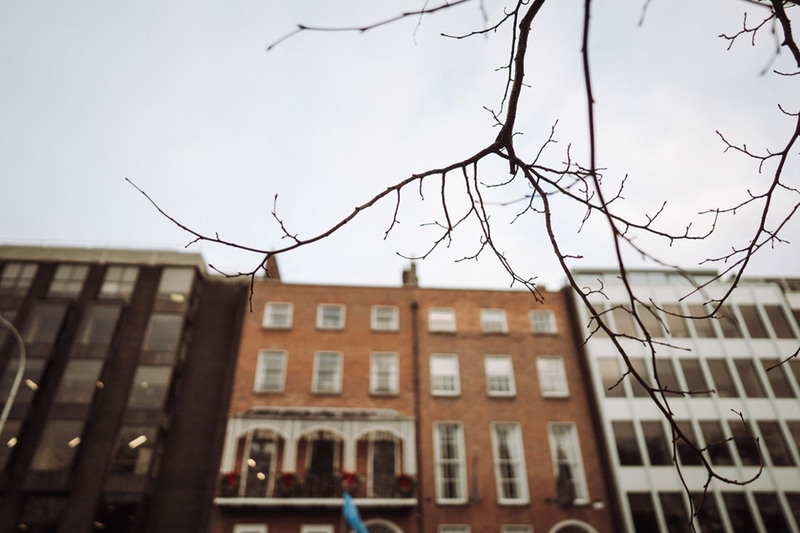 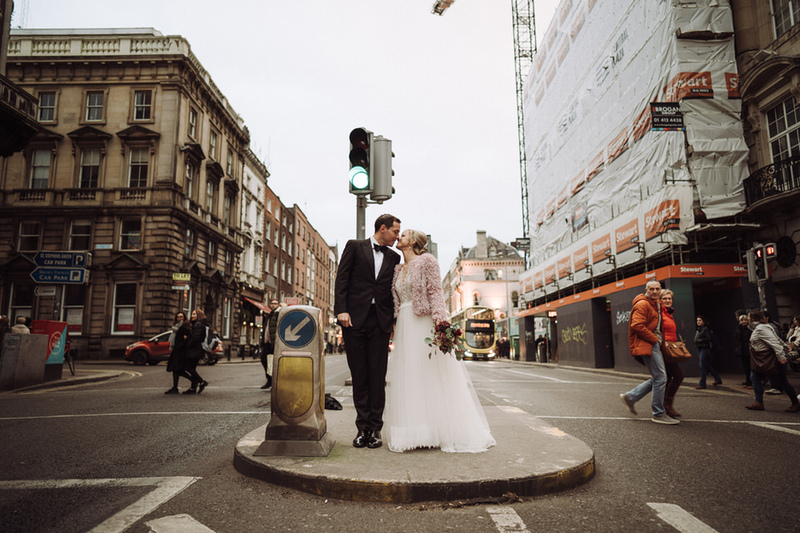 Pawel has a fantastic eye -his portraits around Dublin city centre were super quick and are just beautiful!. 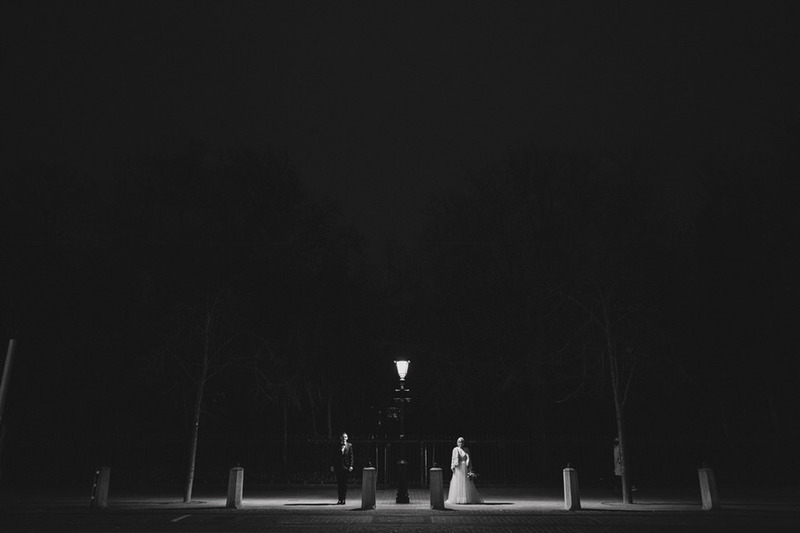 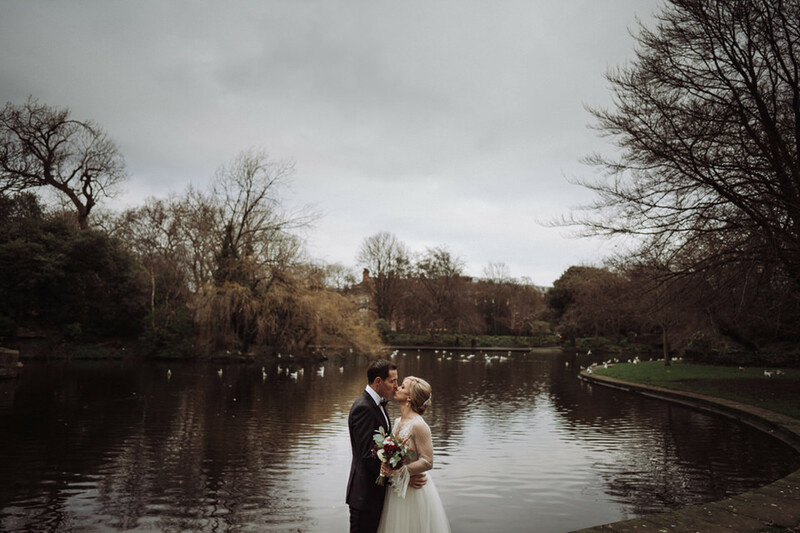 He captured the atmosphere of the day so perfectly and I couldn’t recommend him highly enough! 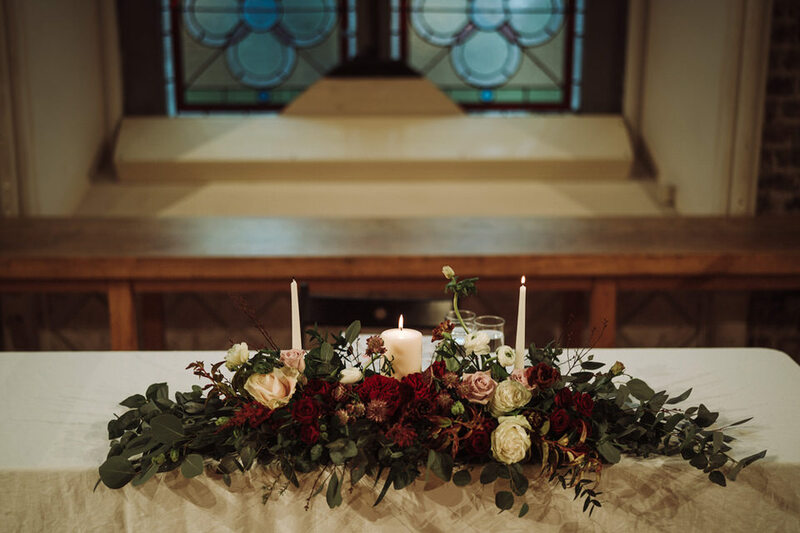 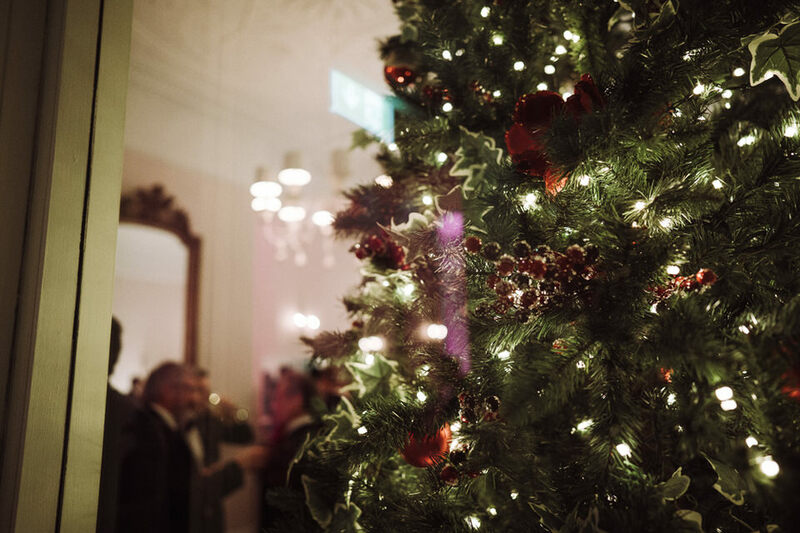 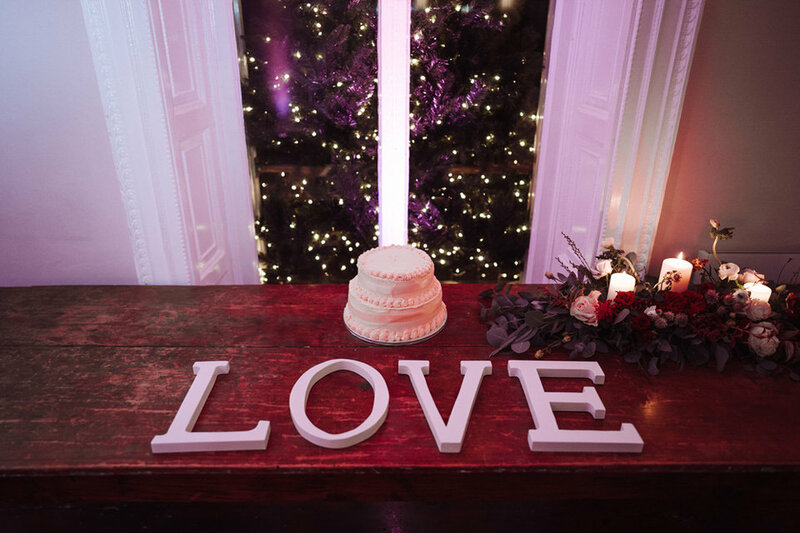 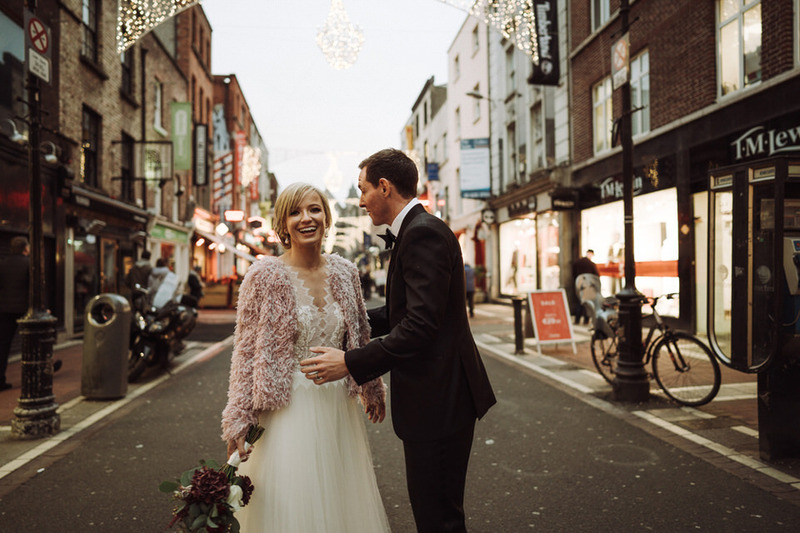 Sarah and Colm’s wedding took place on the 31st of December, 2018, and as it was Christmas and New Year’s time, the couple already had a stage set for celebrating their wedding with all the decorations around. 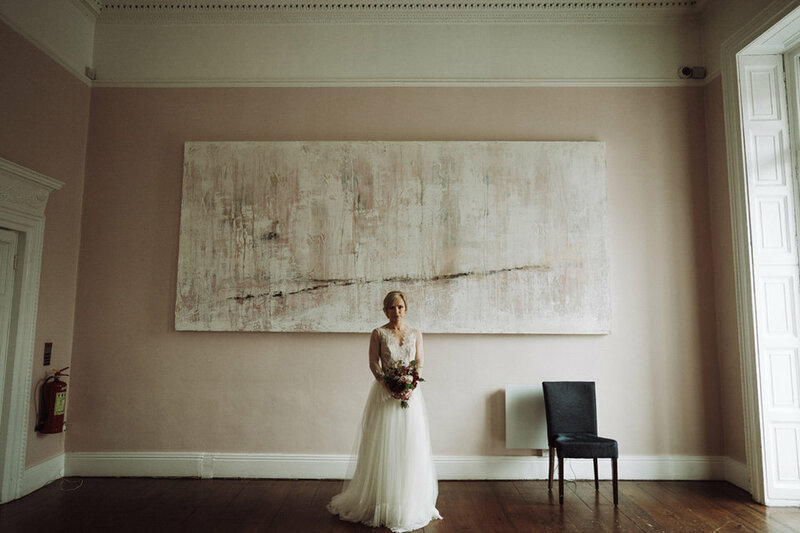 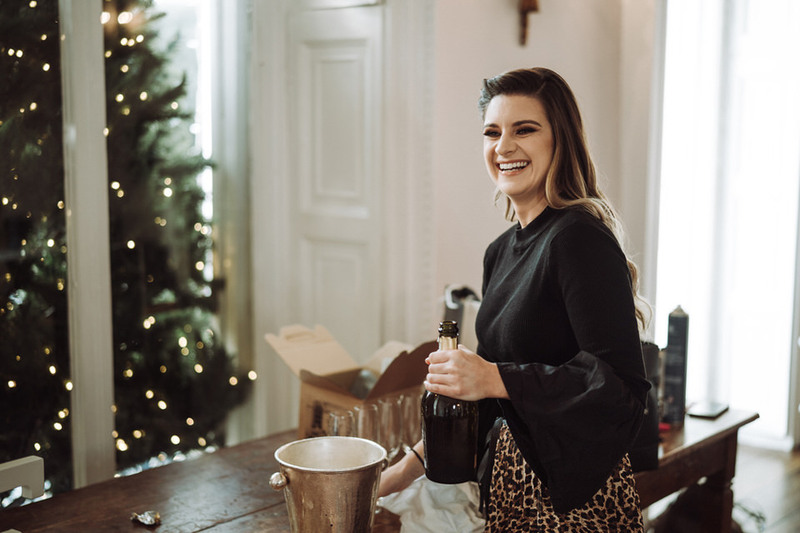 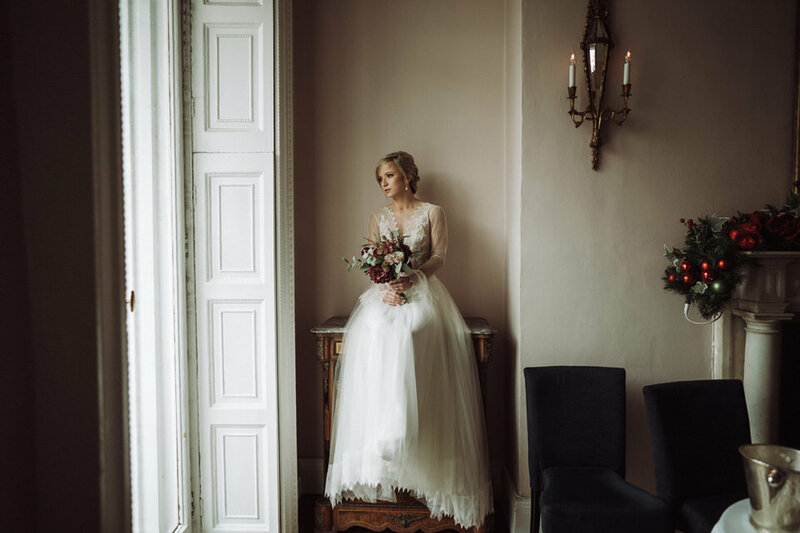 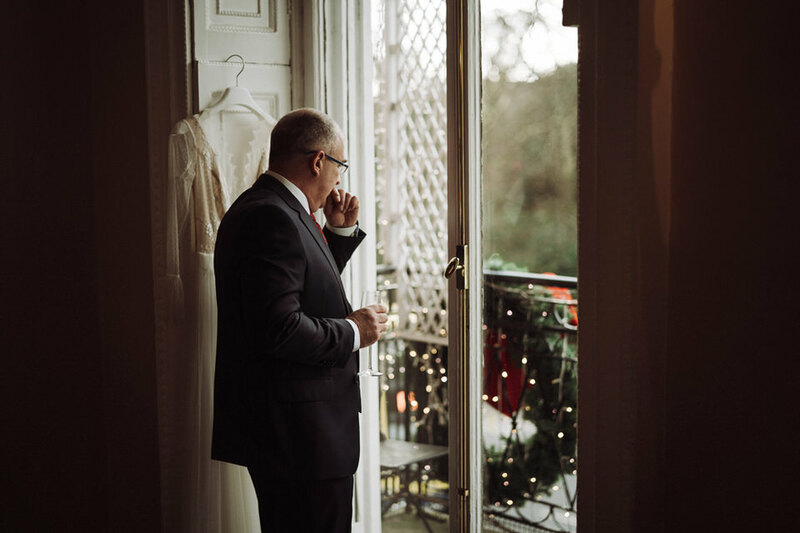 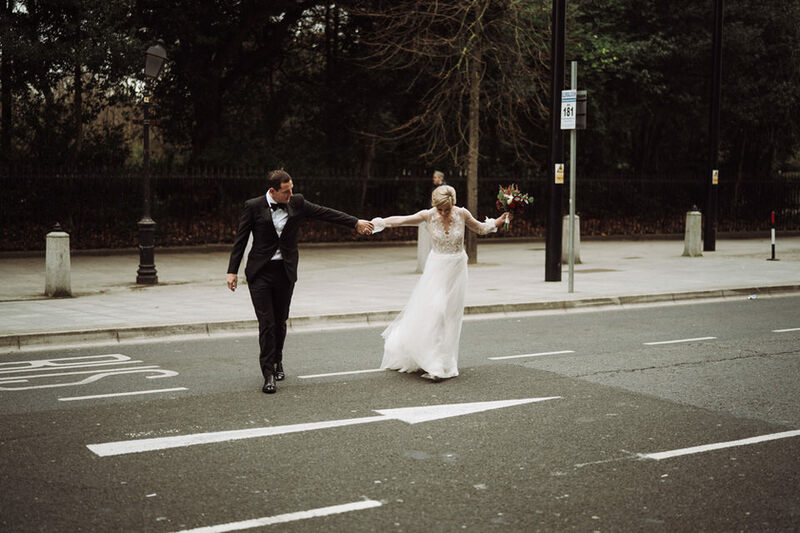 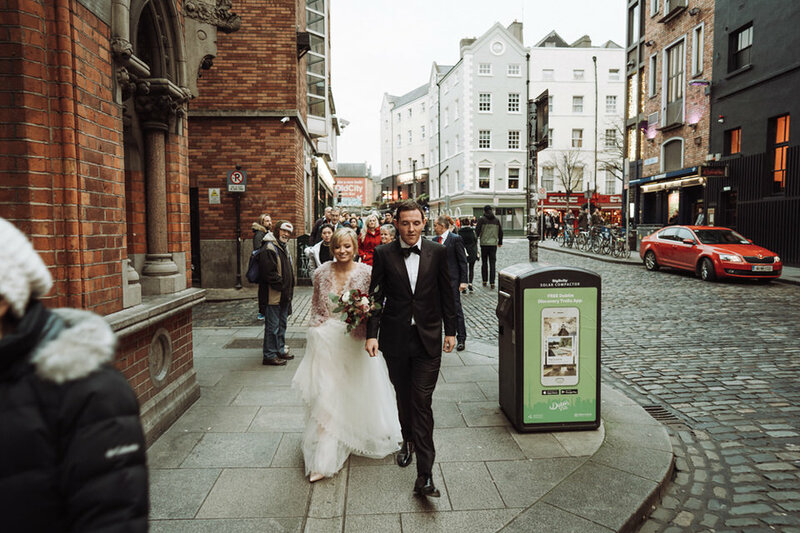 The wedding was planned by the Cliff Townhouse wedding planner, Kayleigh. 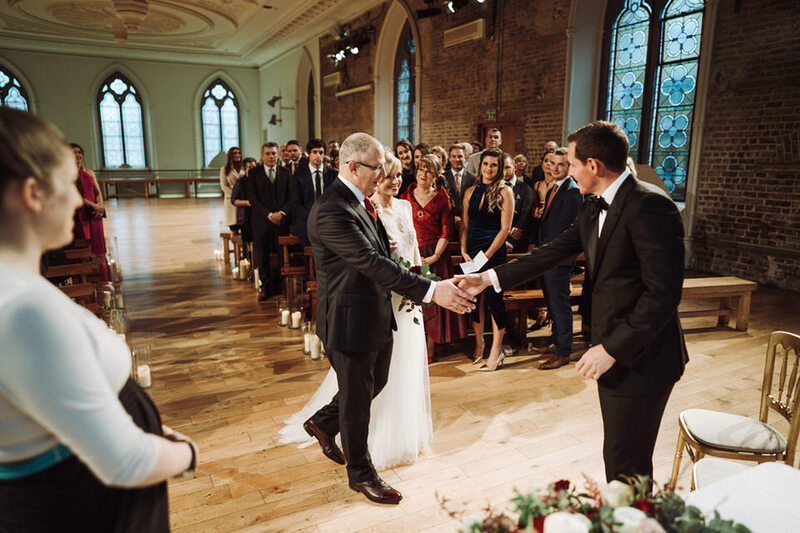 The wedding was a close knit affair, which in fact added to the fun and stress free celebration by the couple themselves. 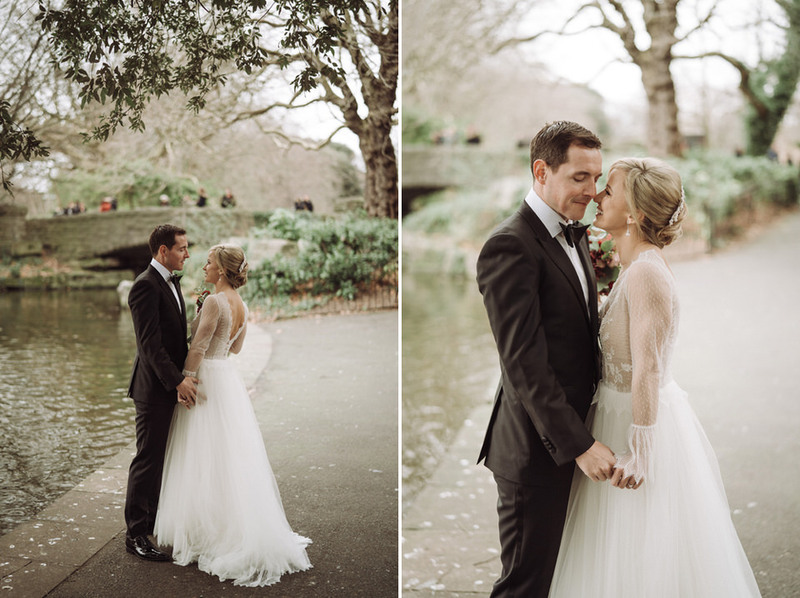 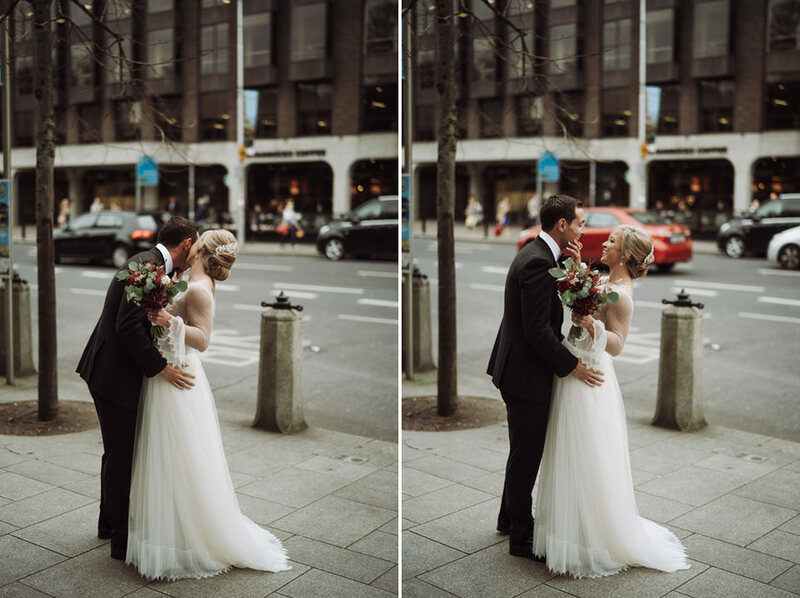 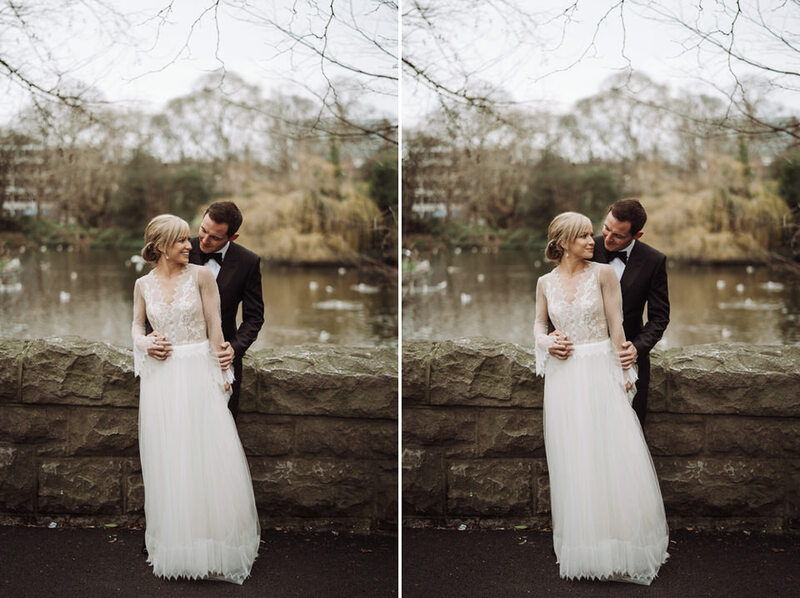 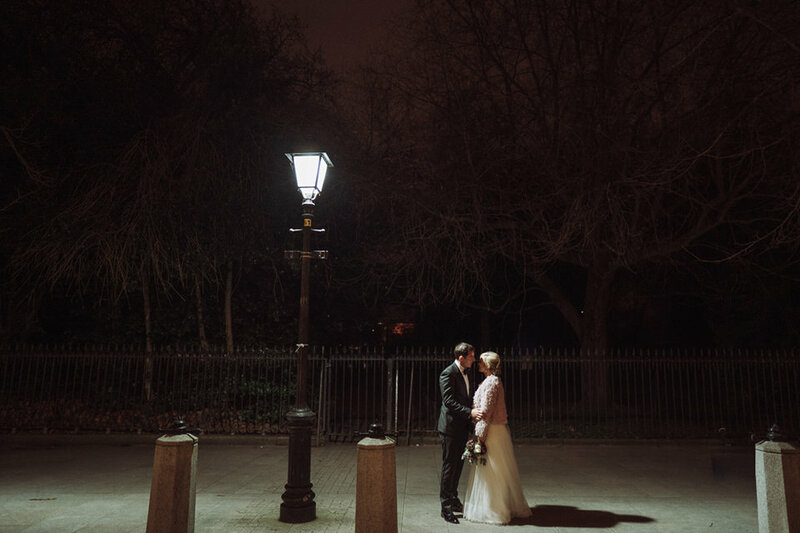 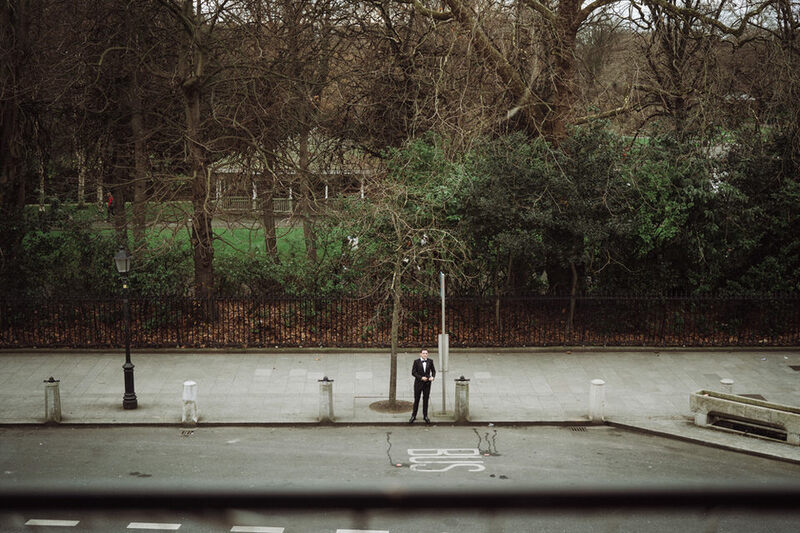 The couple got their “first look” photographs done around St Stephen’s Green. 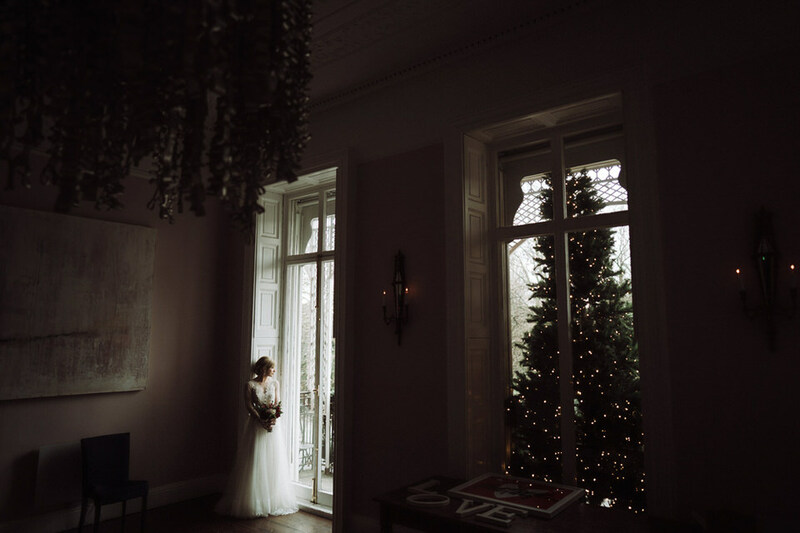 The shoots was done before the ceremony for light reasons. 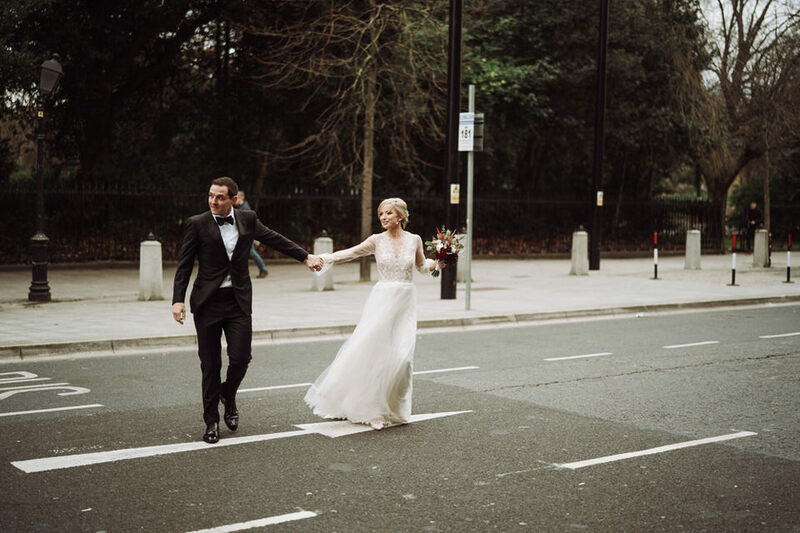 The best part about choosing such proximate venues for the ceremony, reception, and photo sessions was the fact that there was not even the need to hire a wedding car for the same. 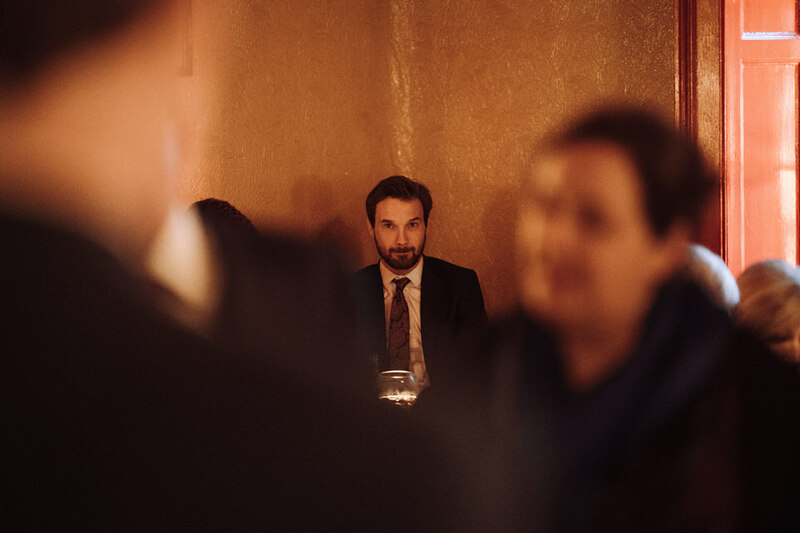 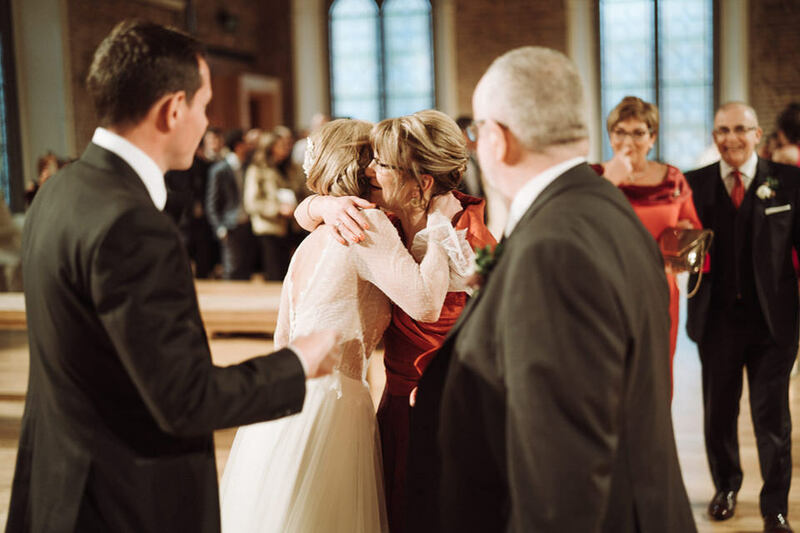 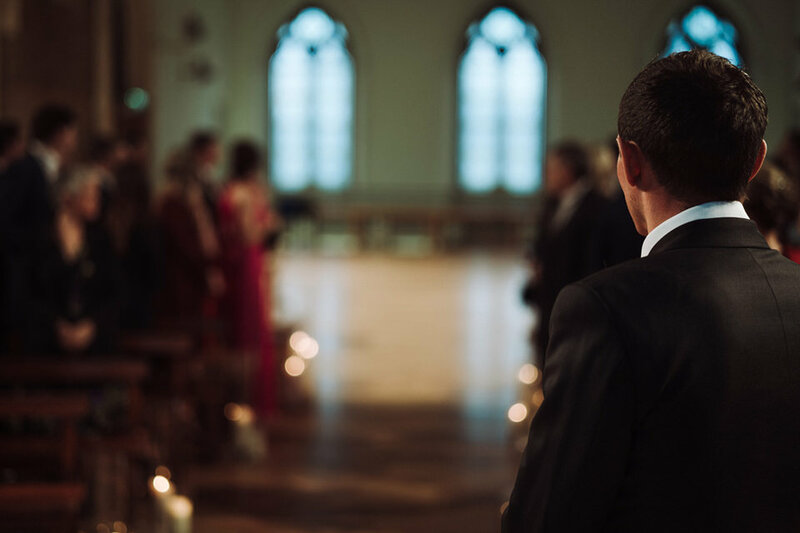 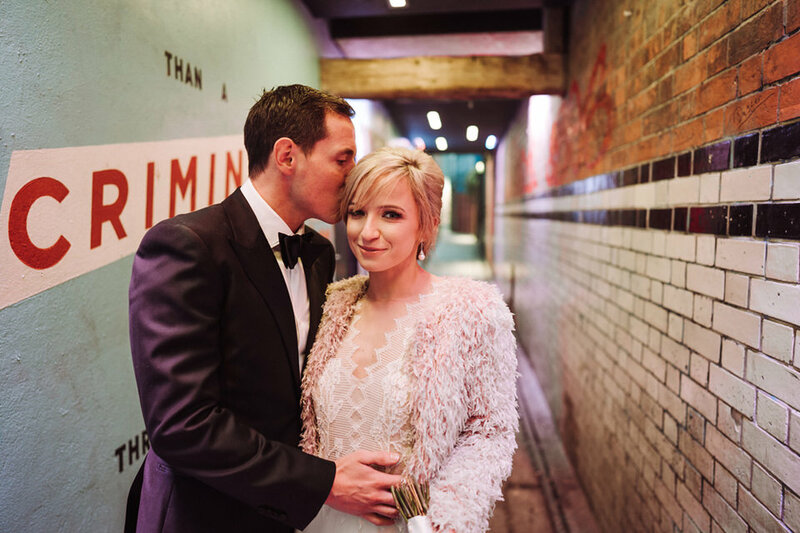 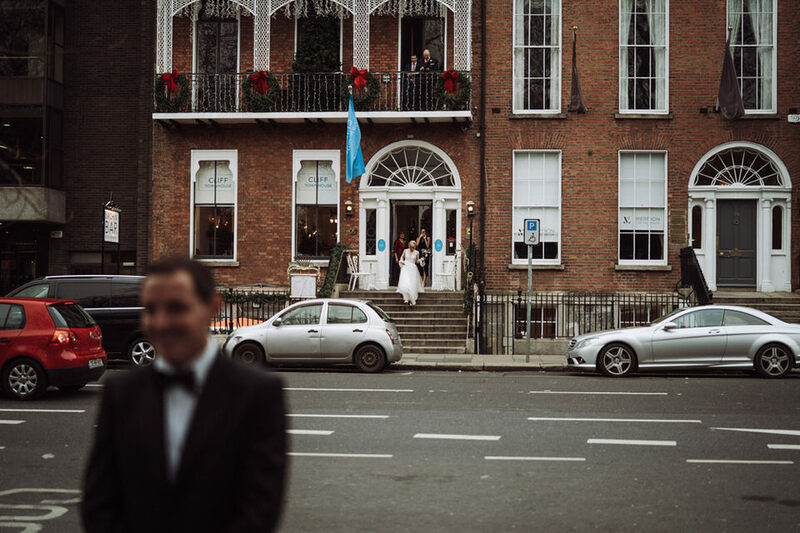 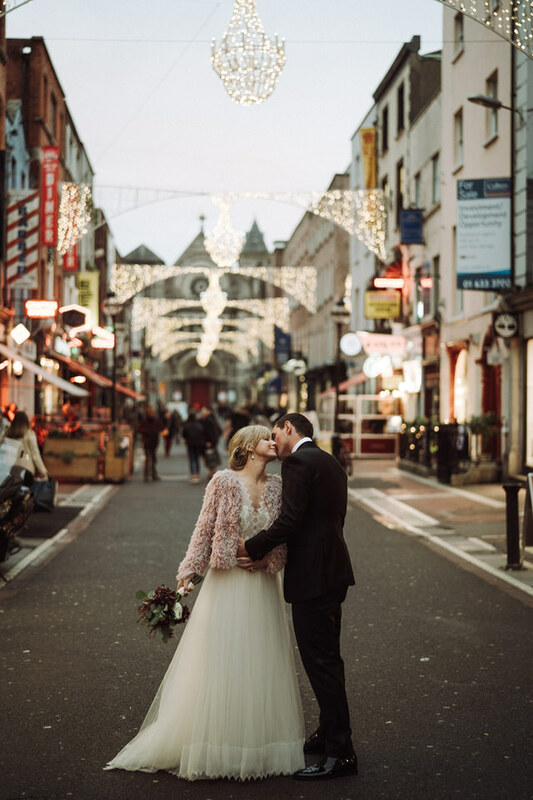 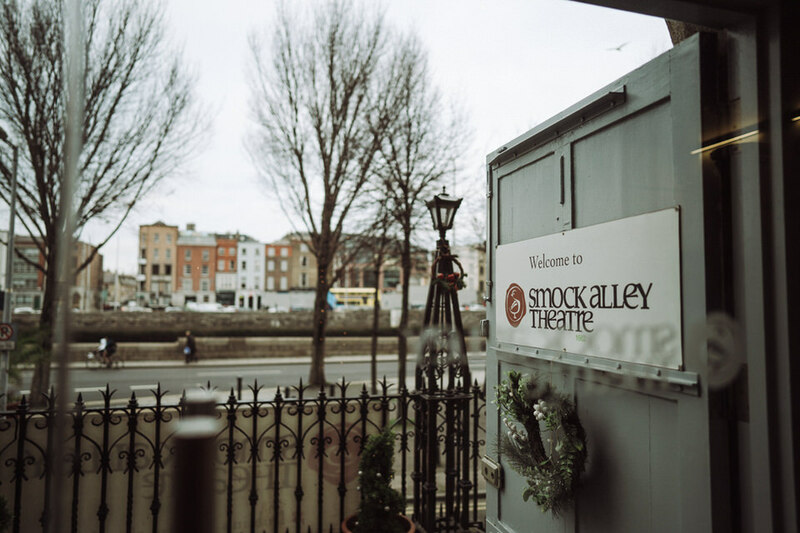 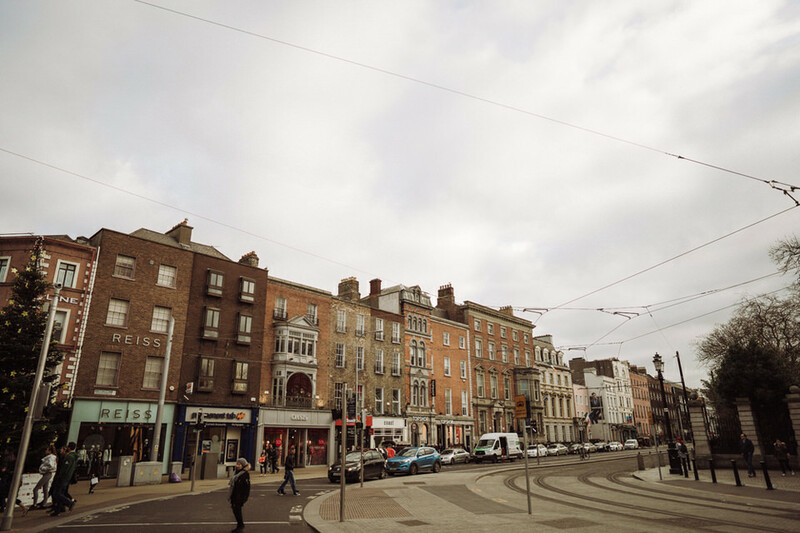 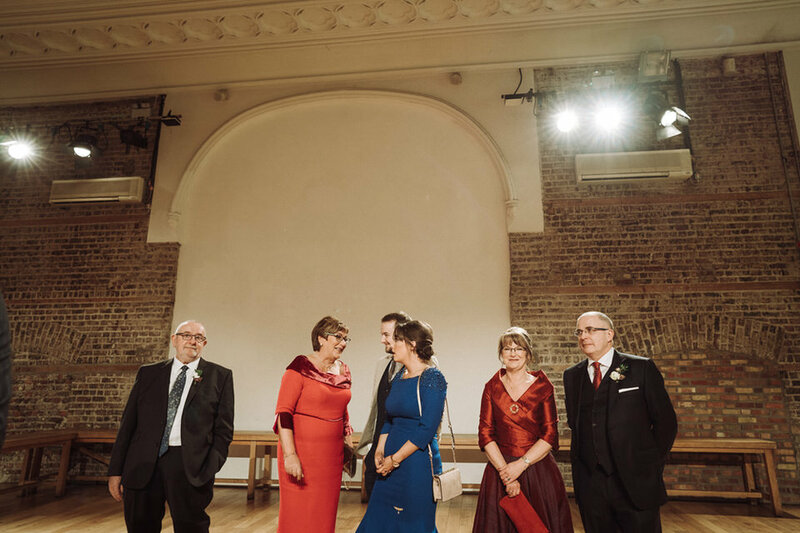 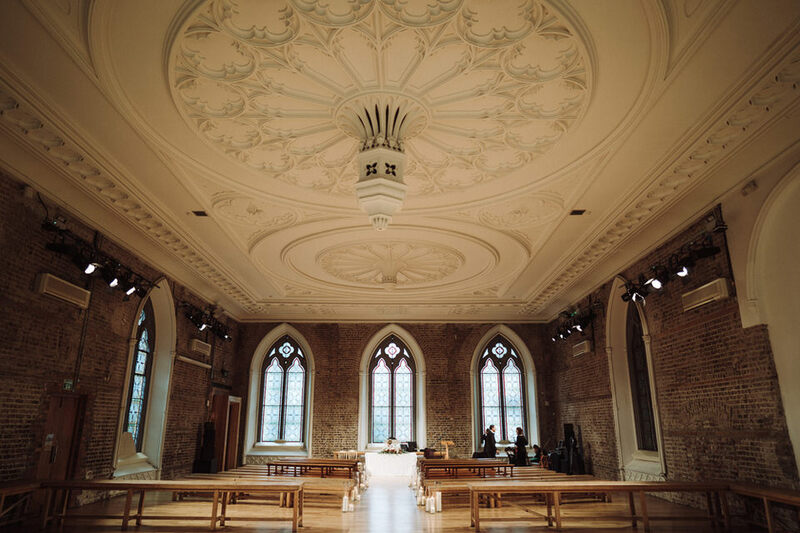 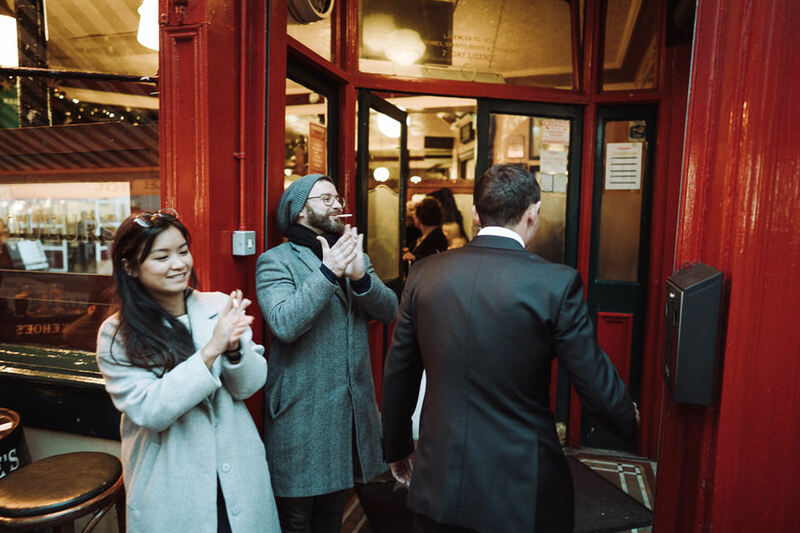 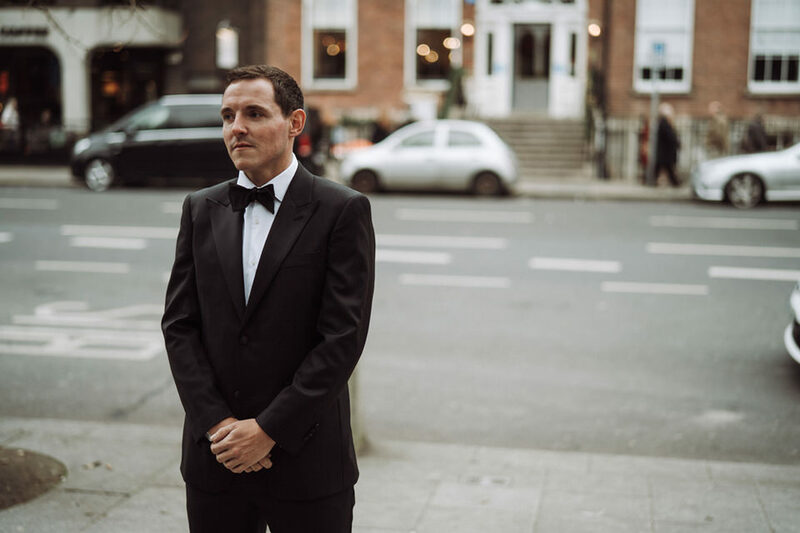 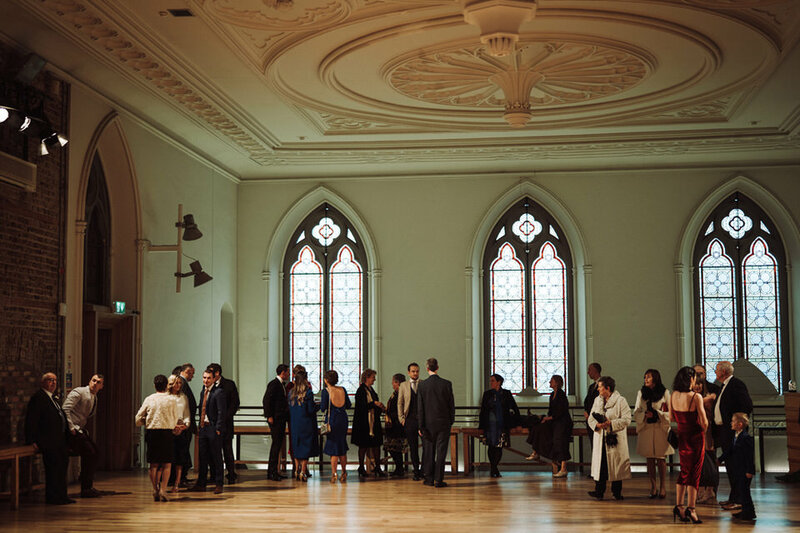 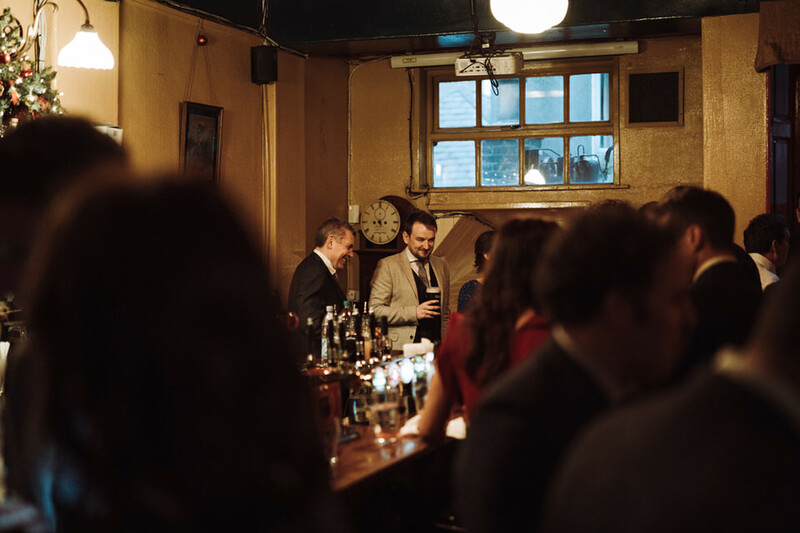 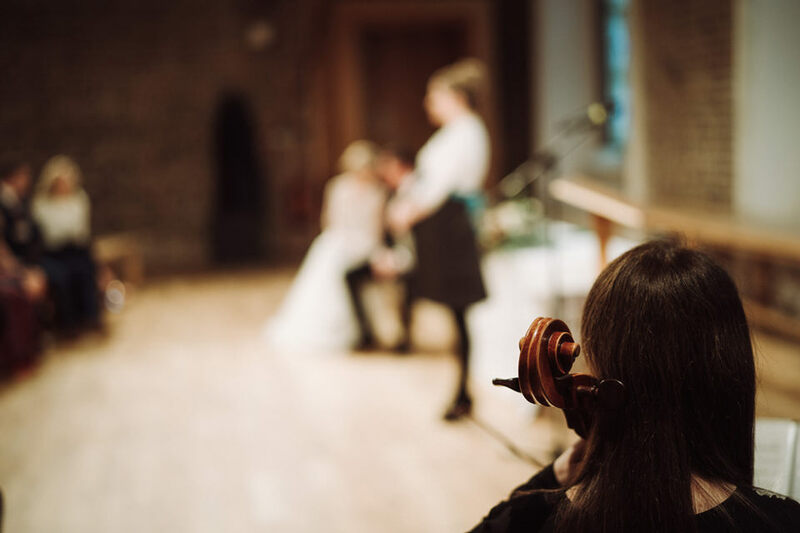 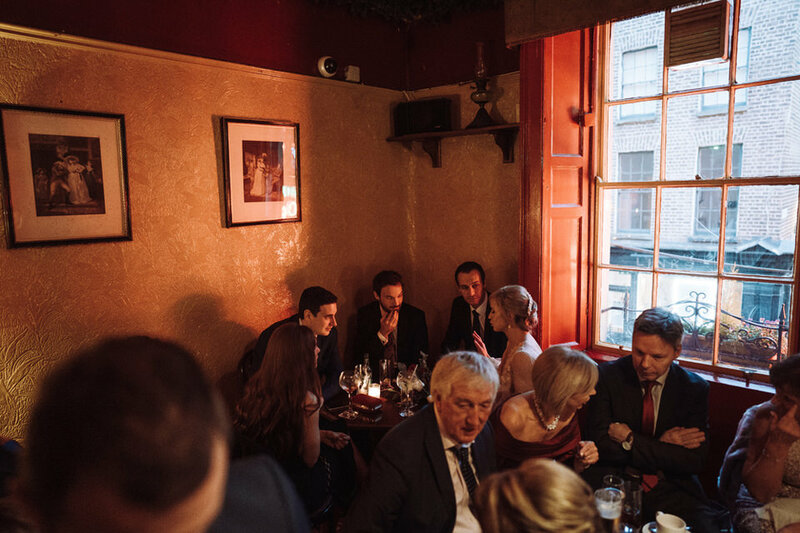 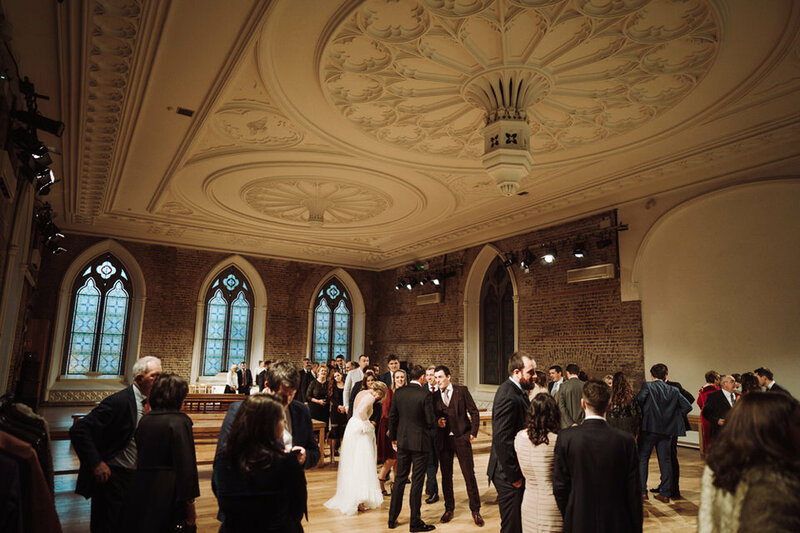 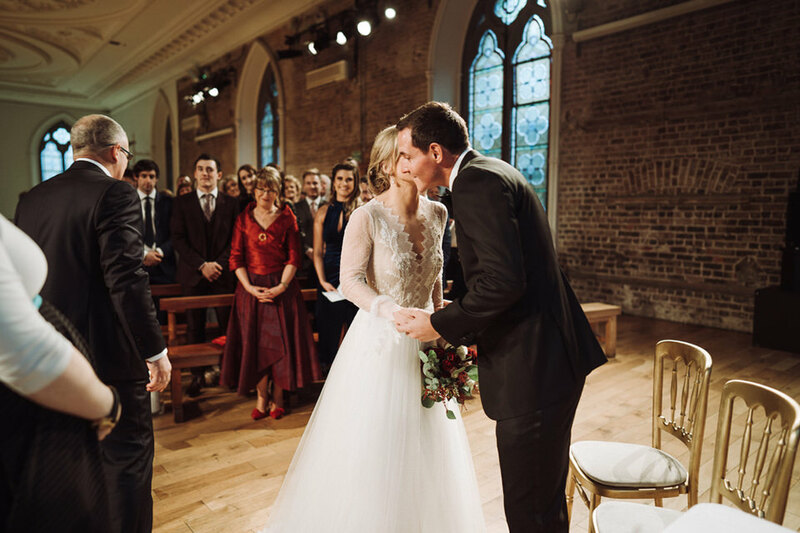 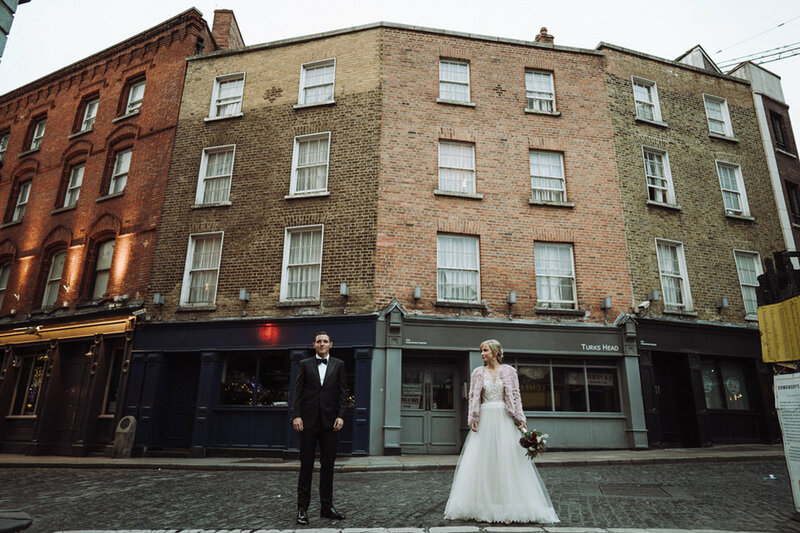 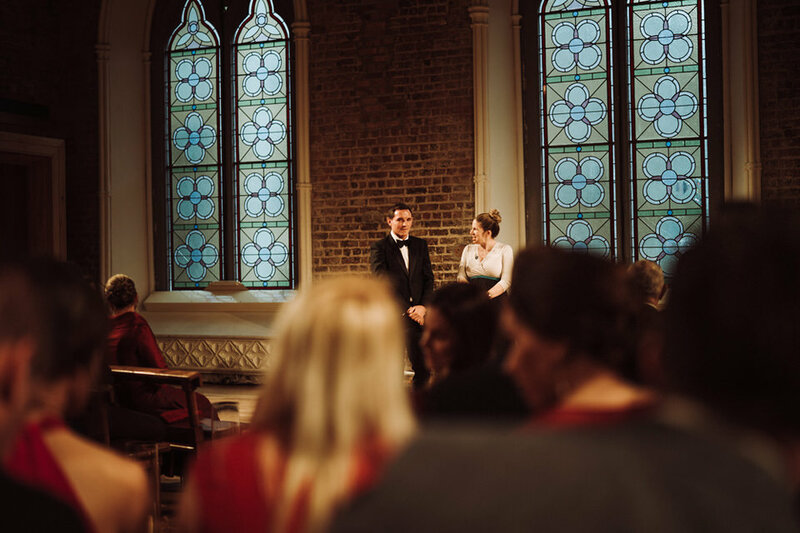 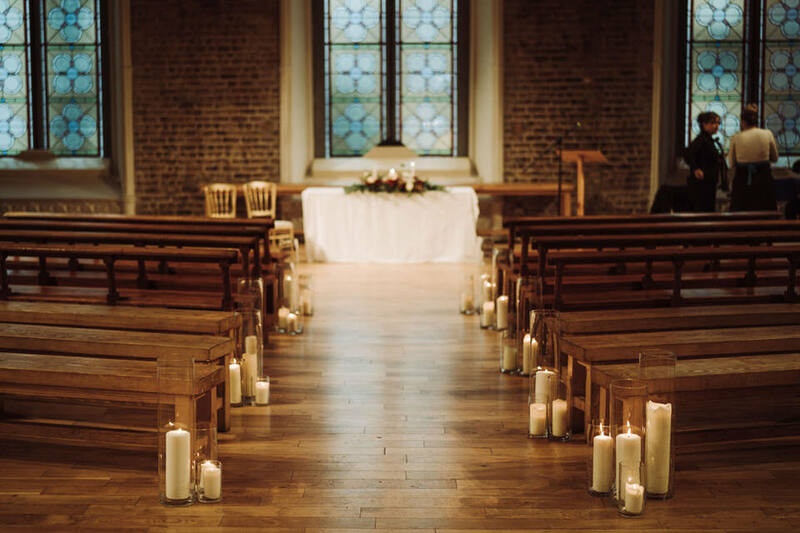 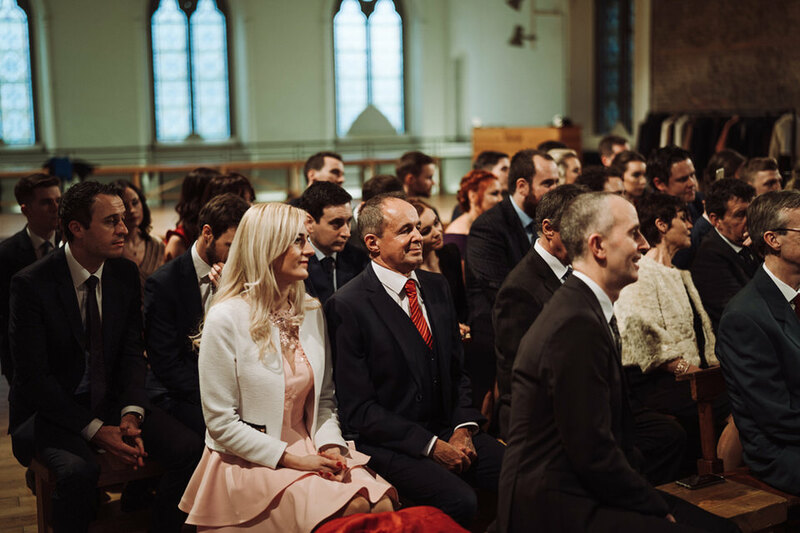 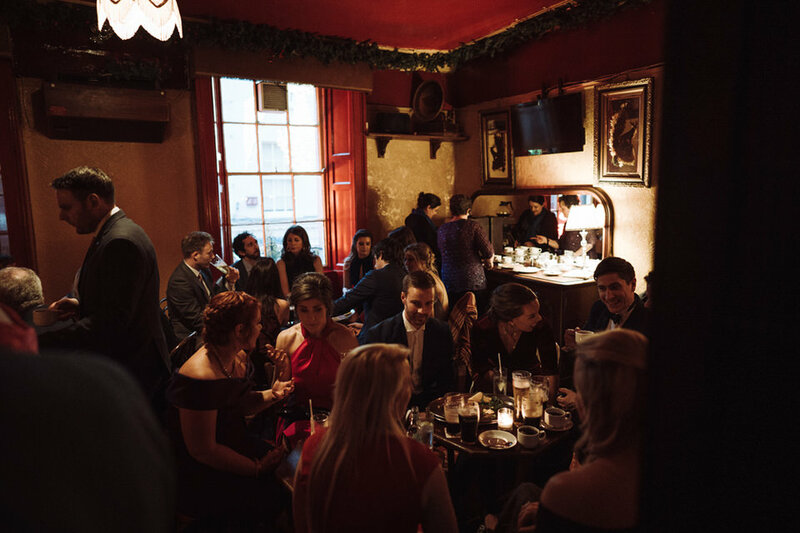 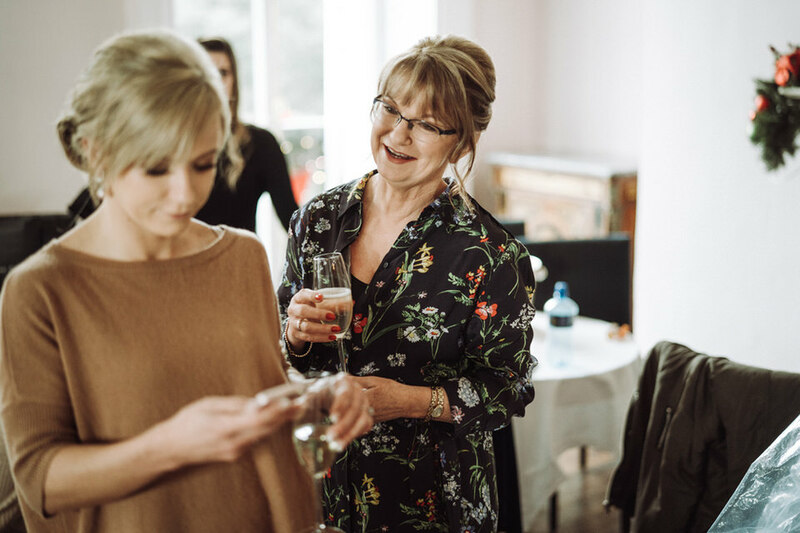 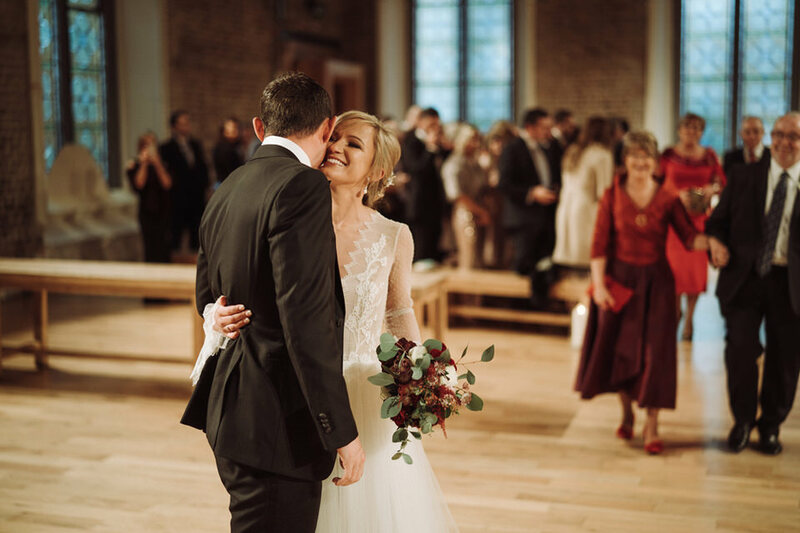 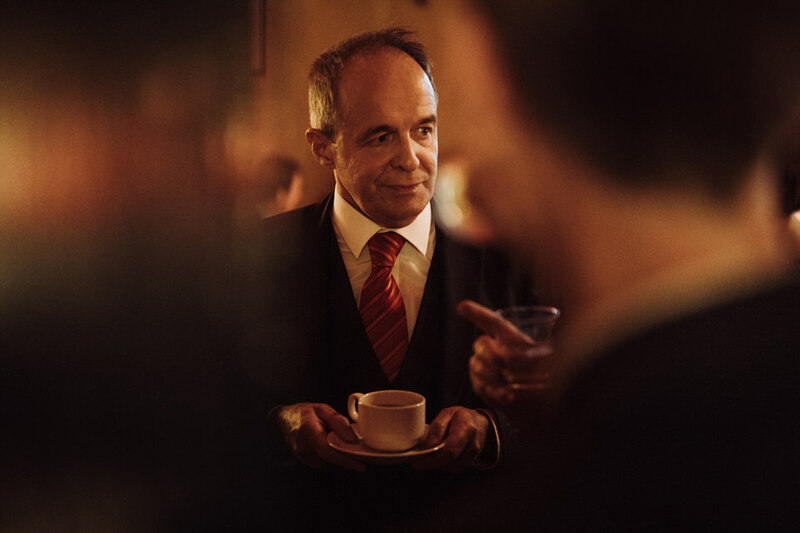 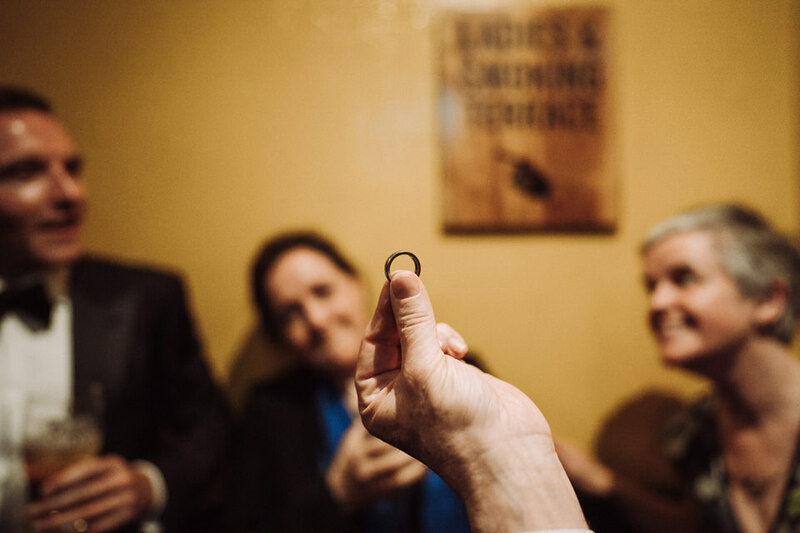 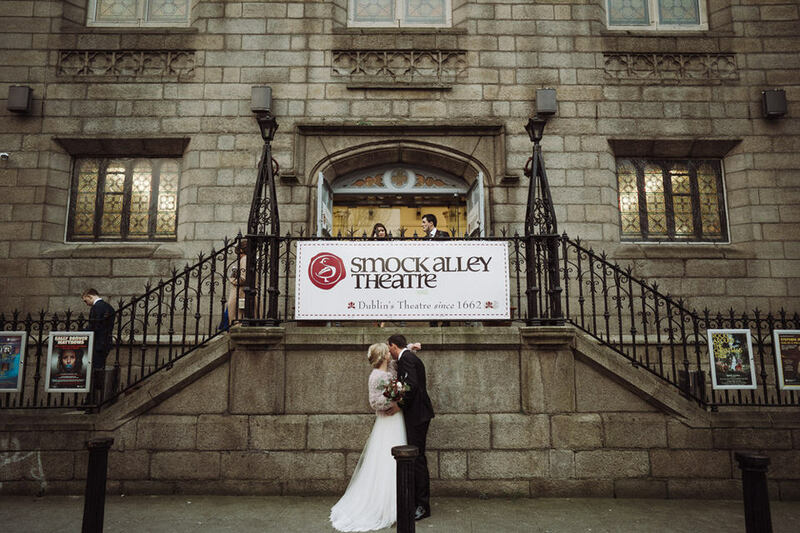 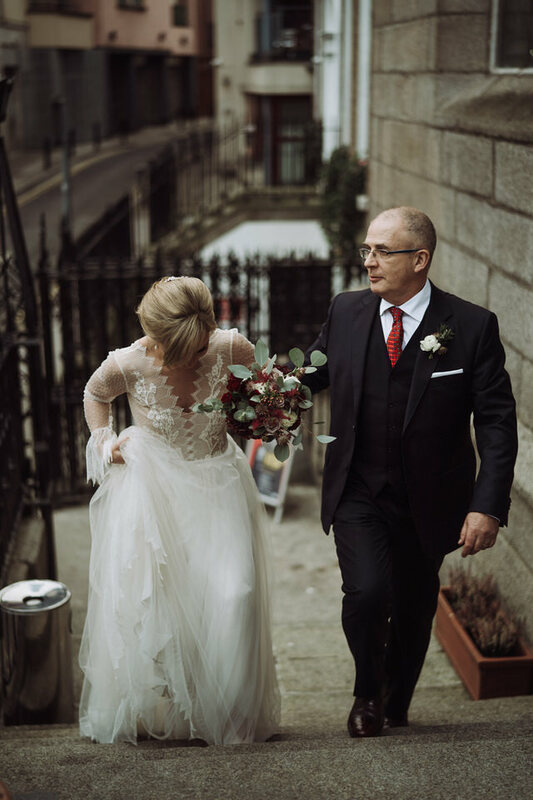 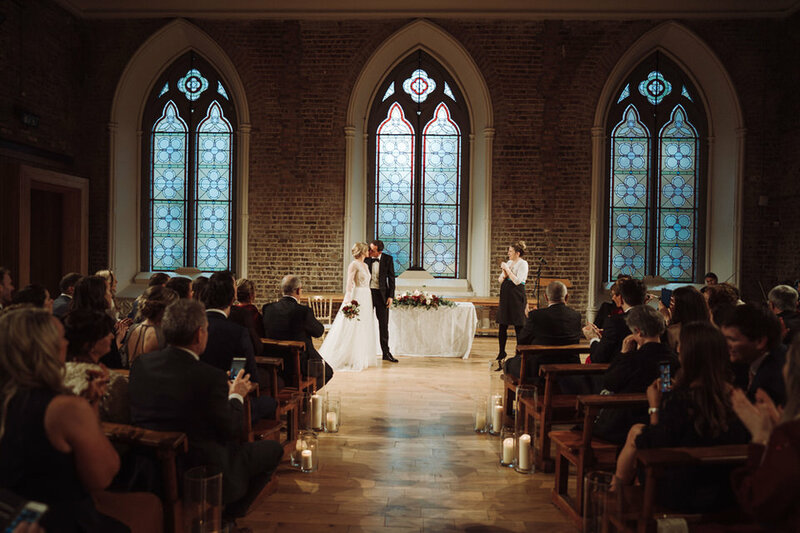 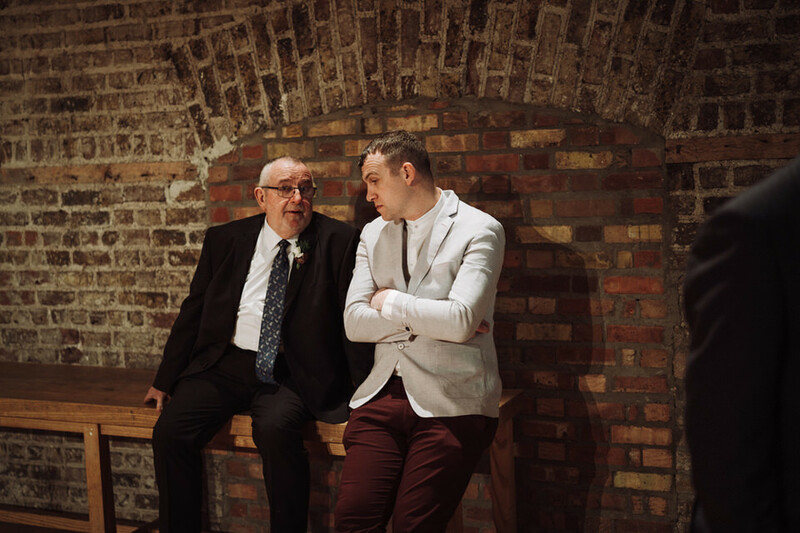 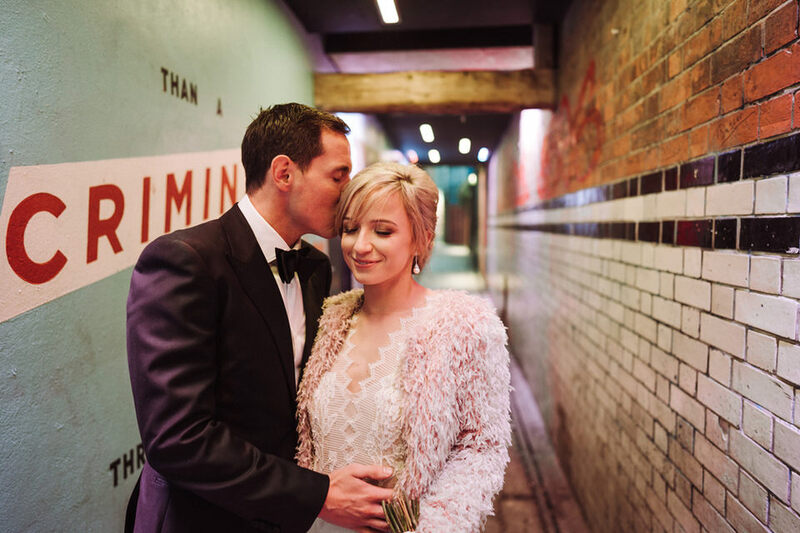 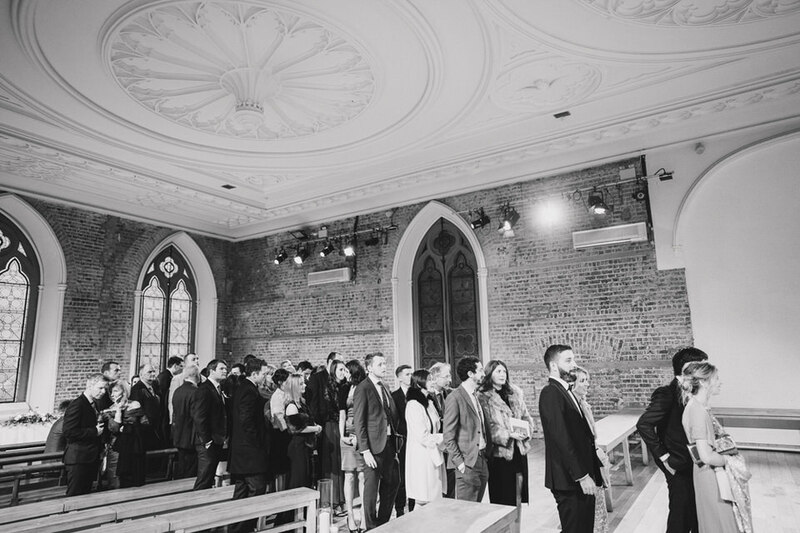 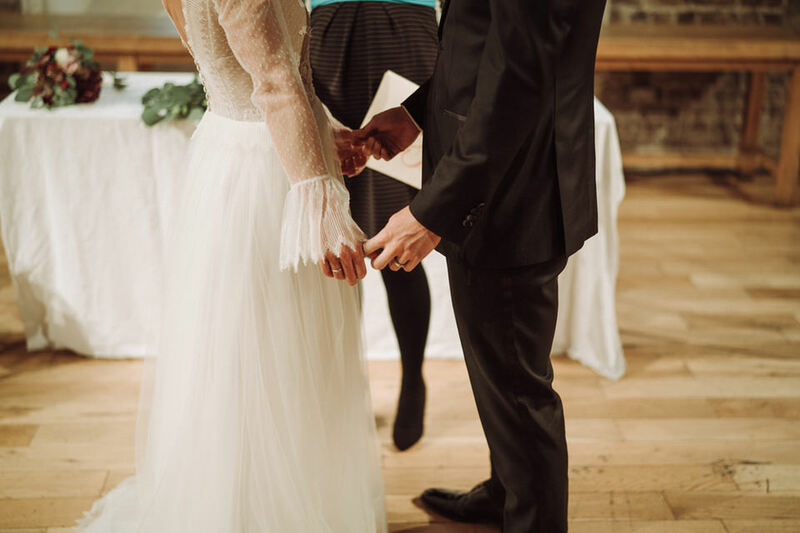 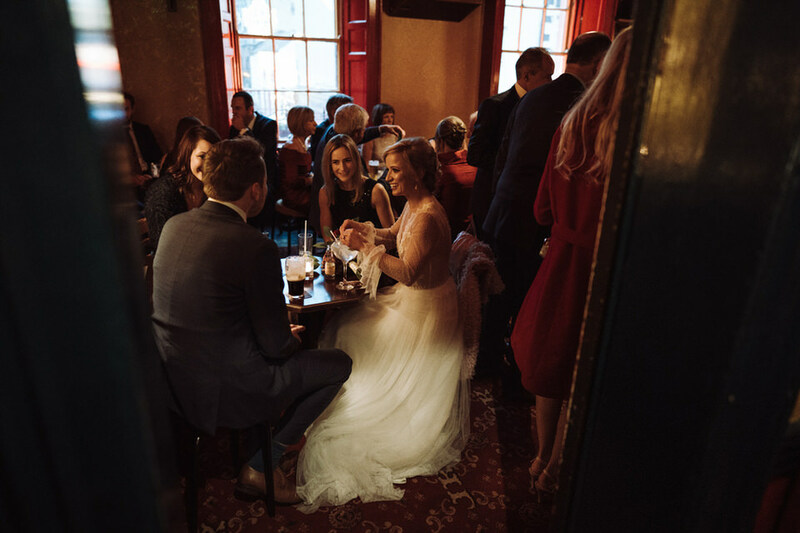 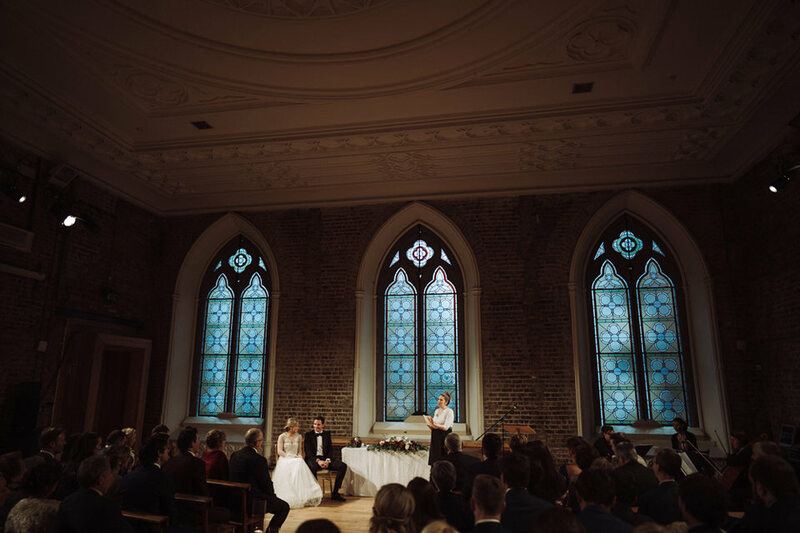 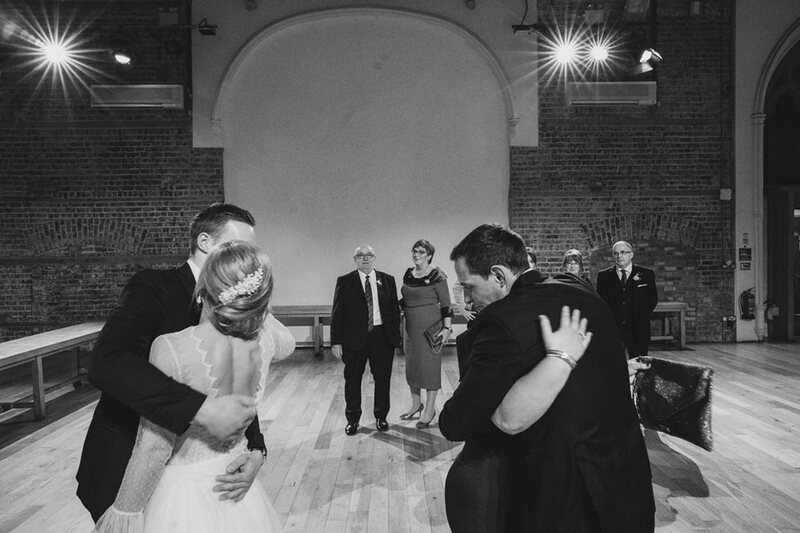 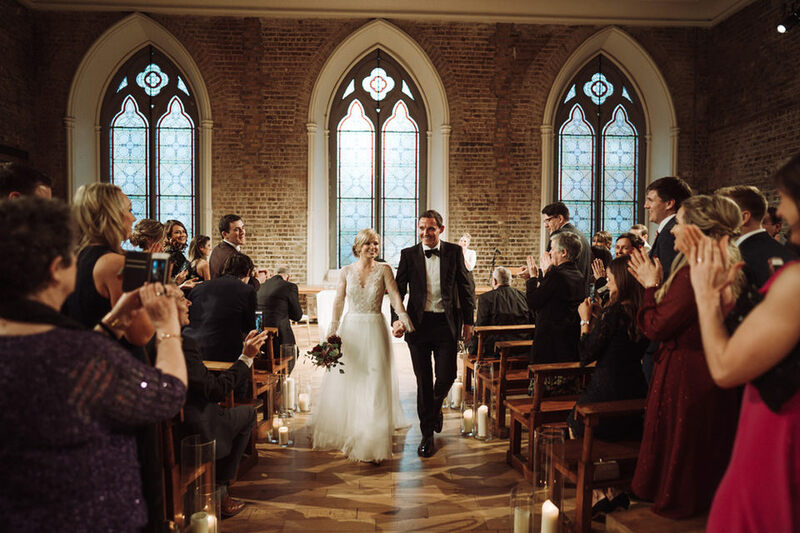 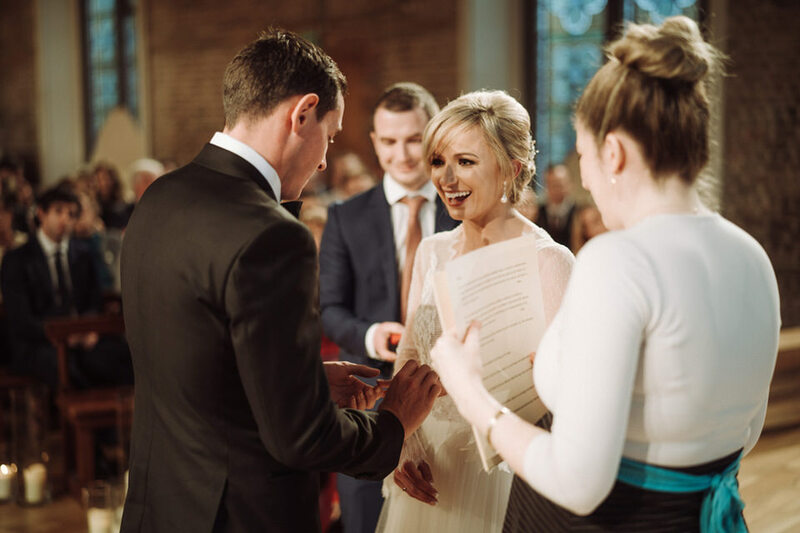 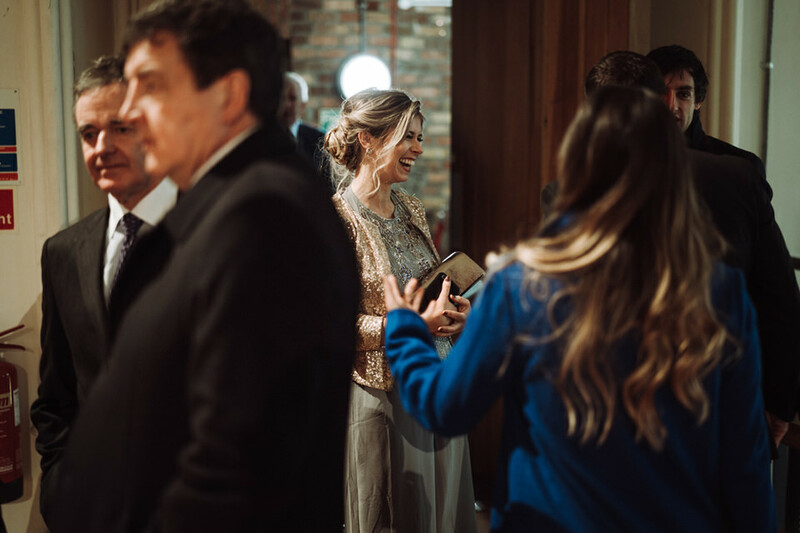 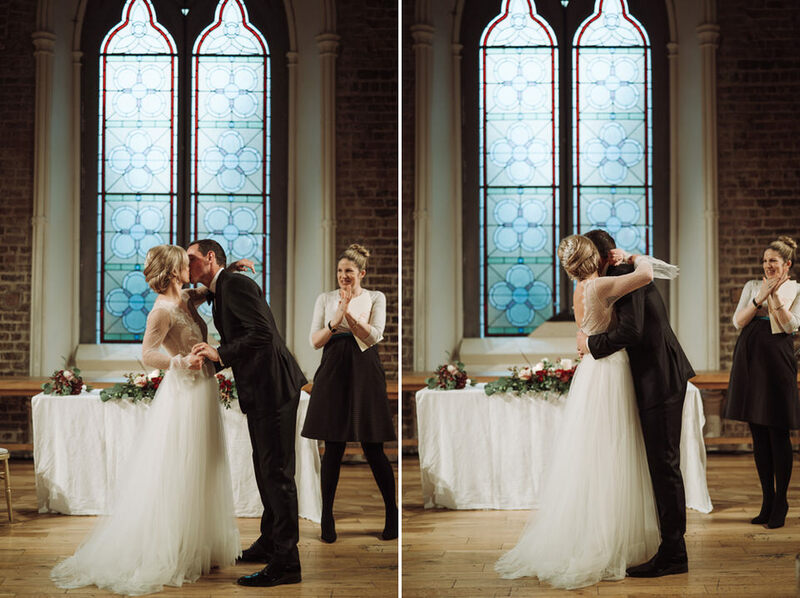 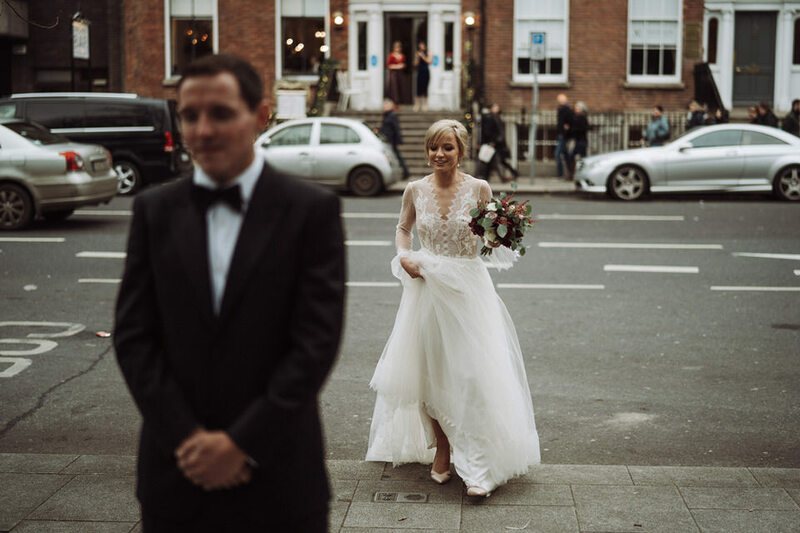 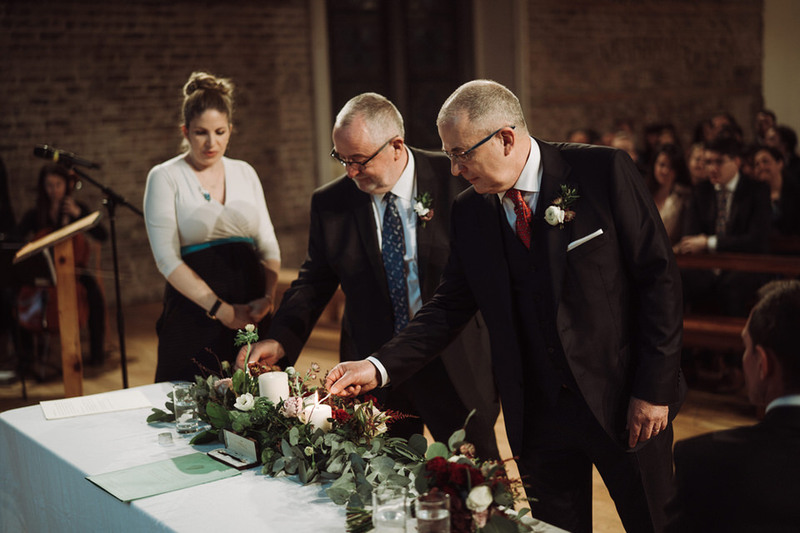 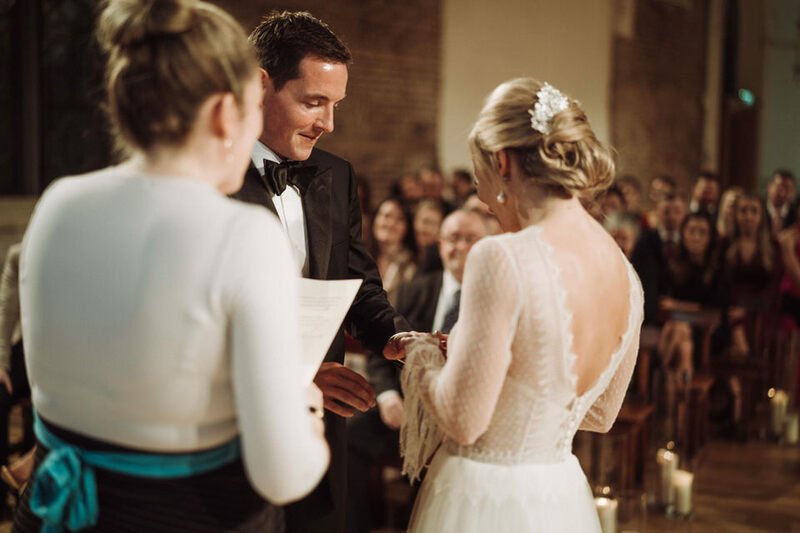 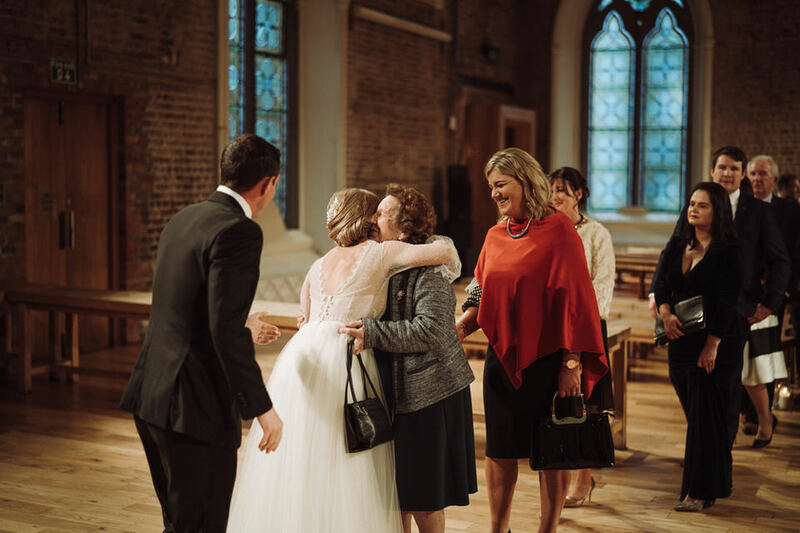 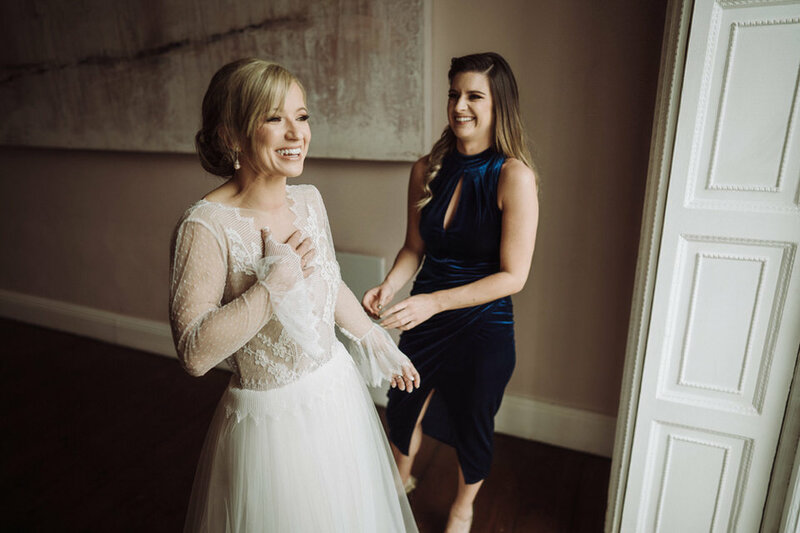 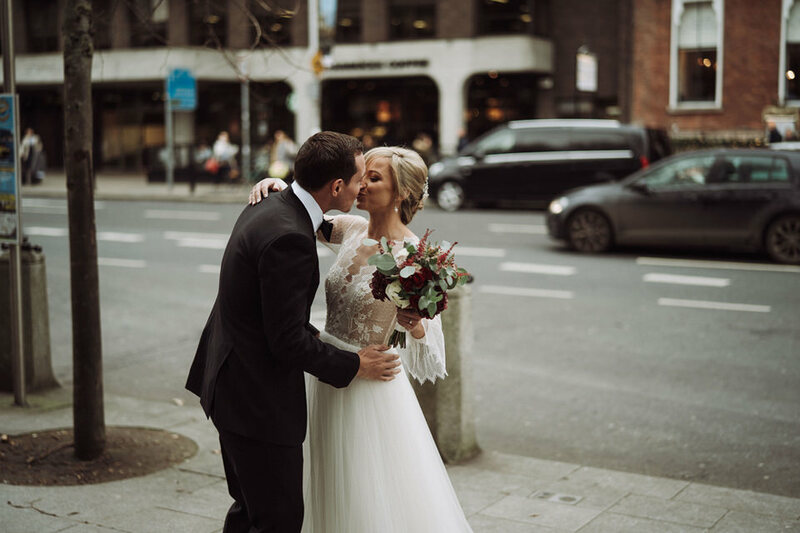 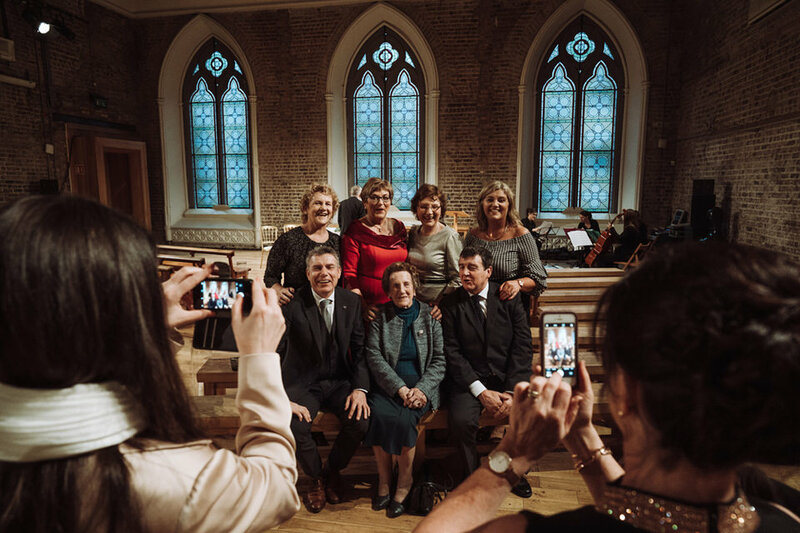 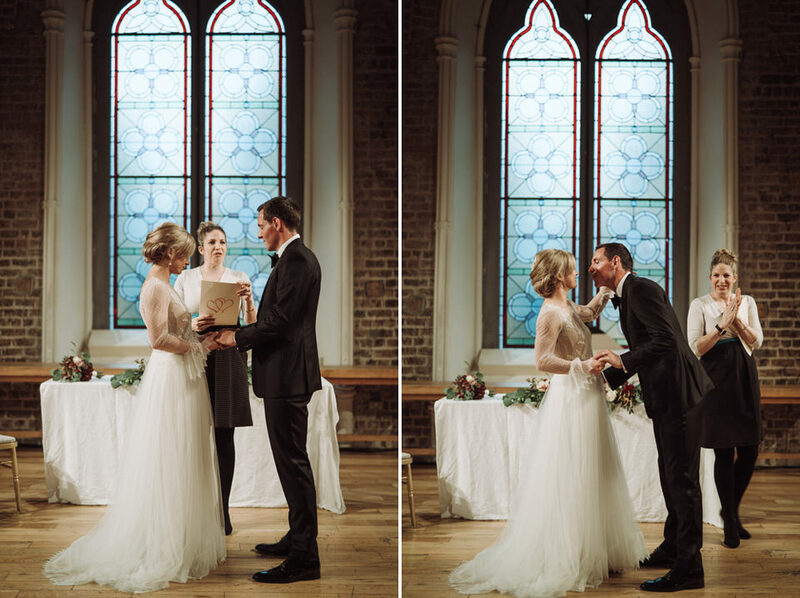 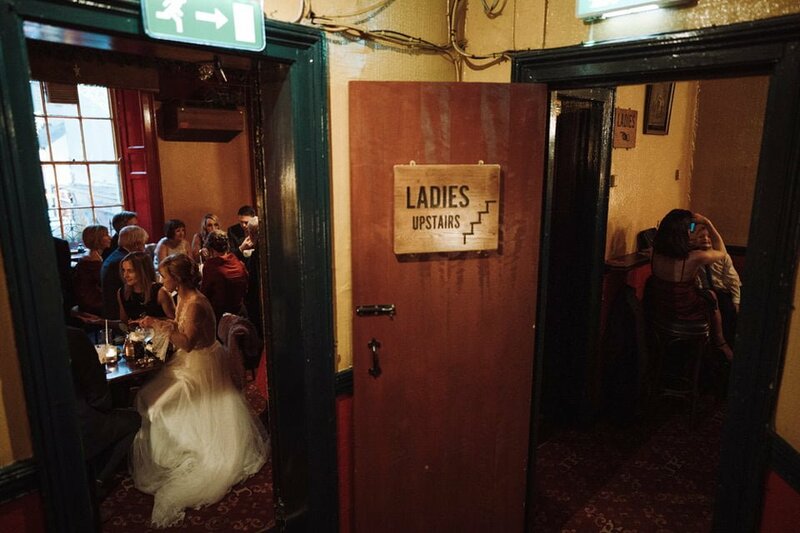 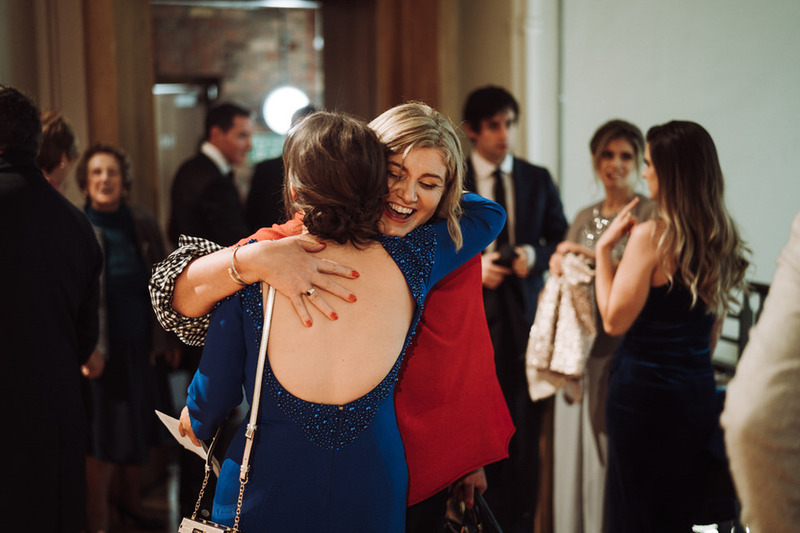 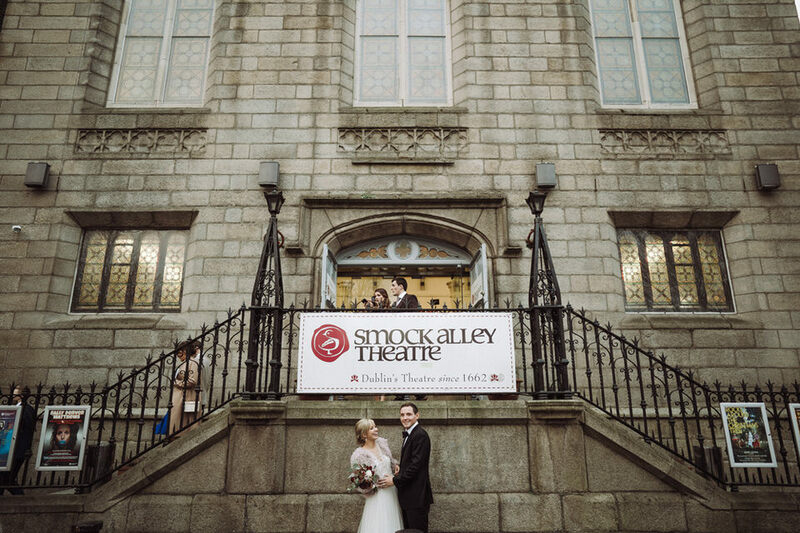 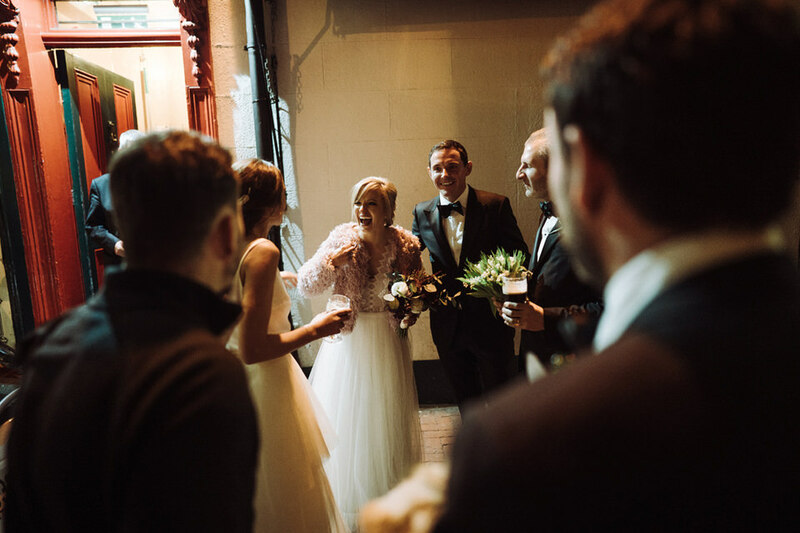 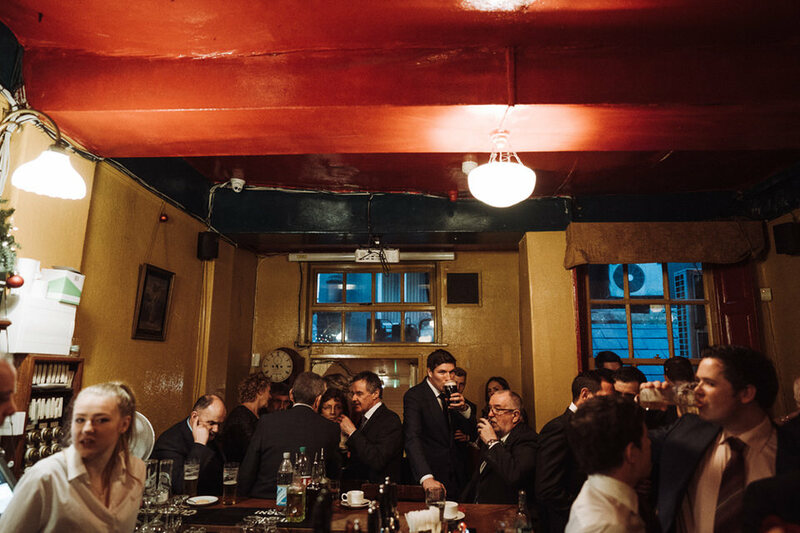 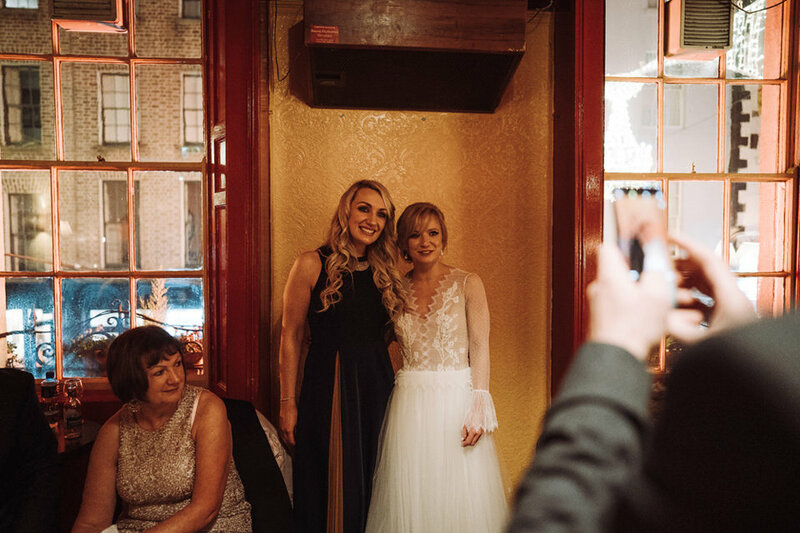 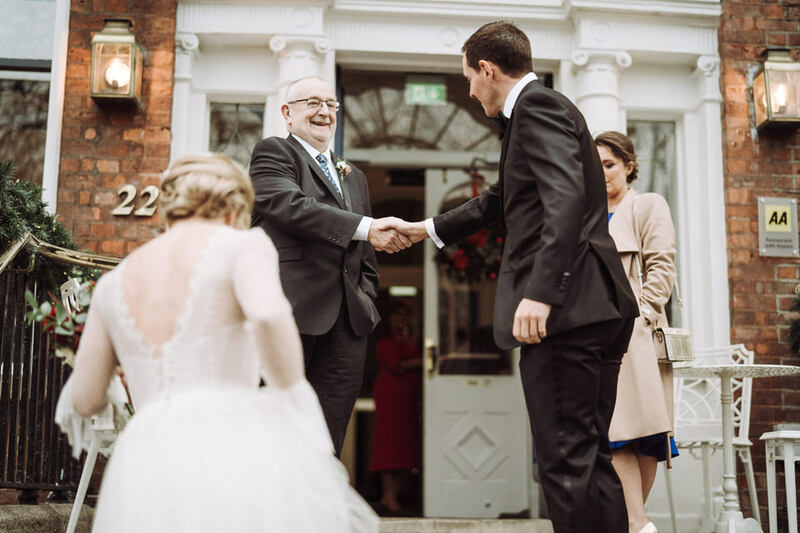 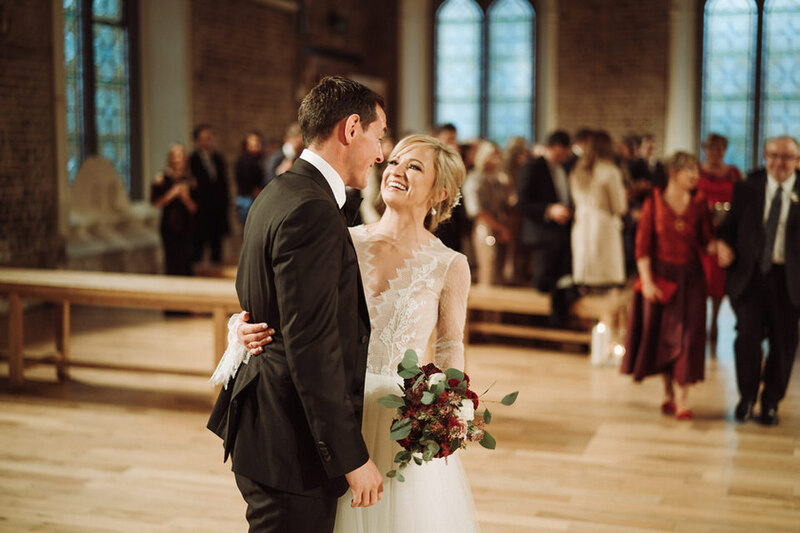 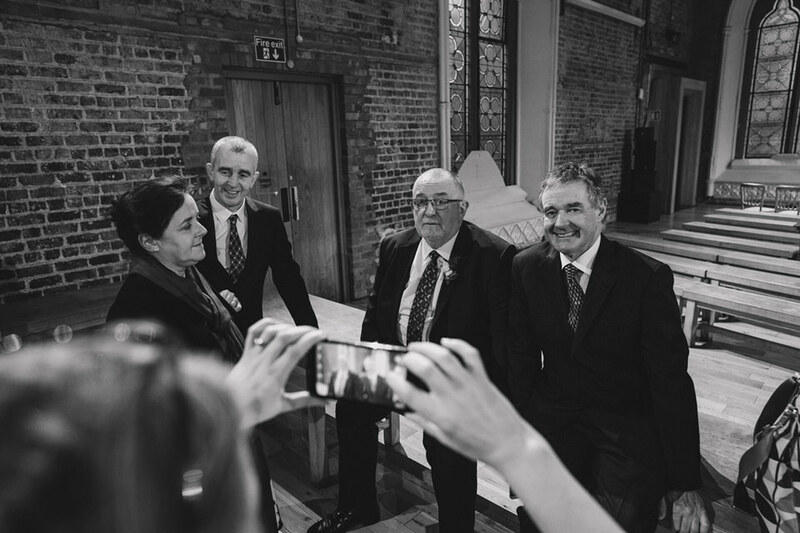 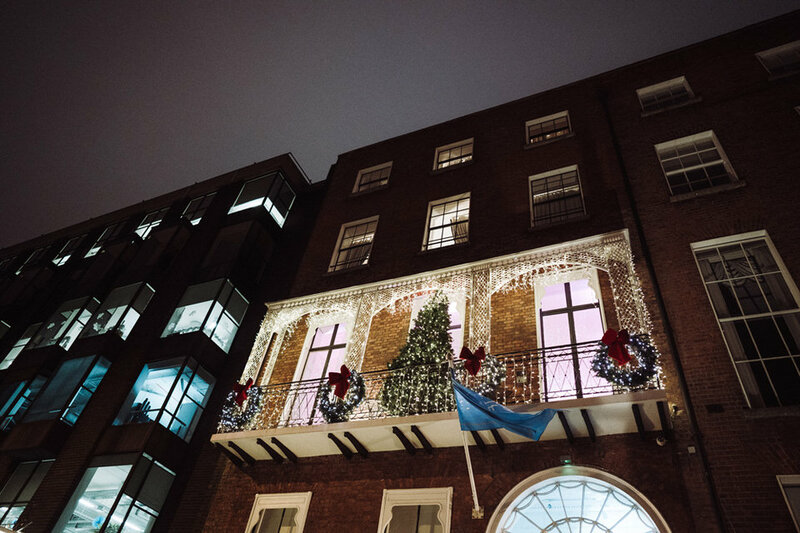 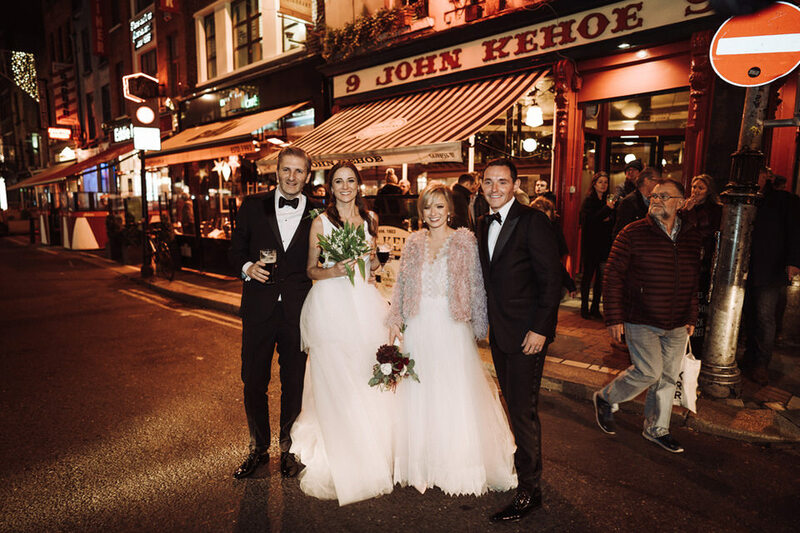 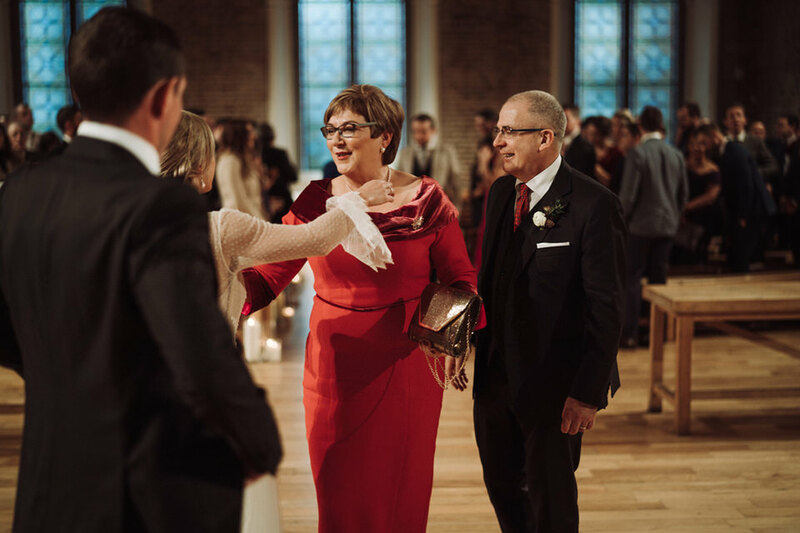 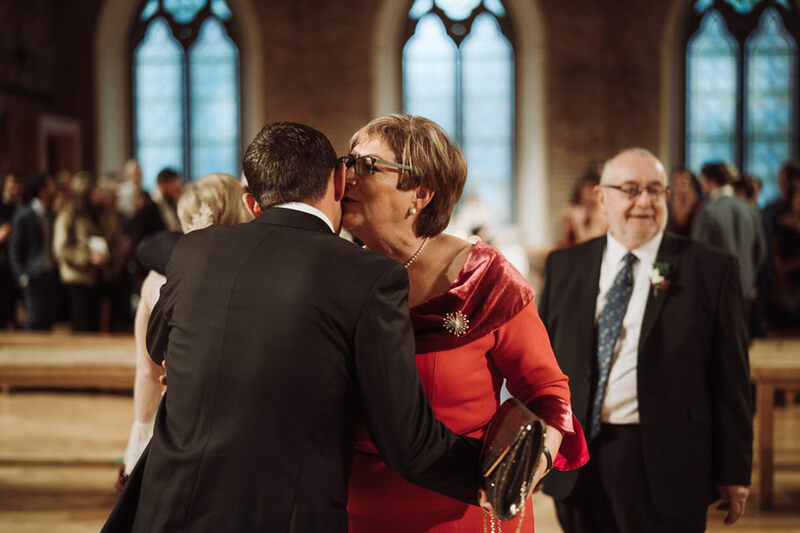 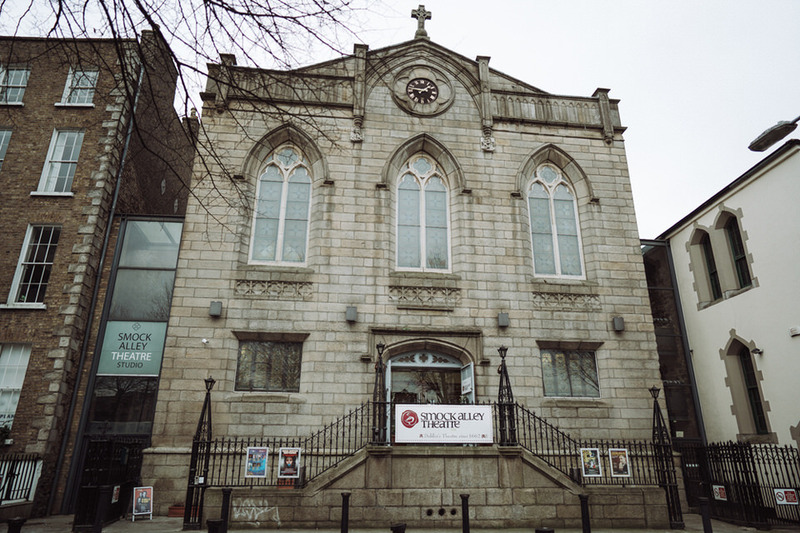 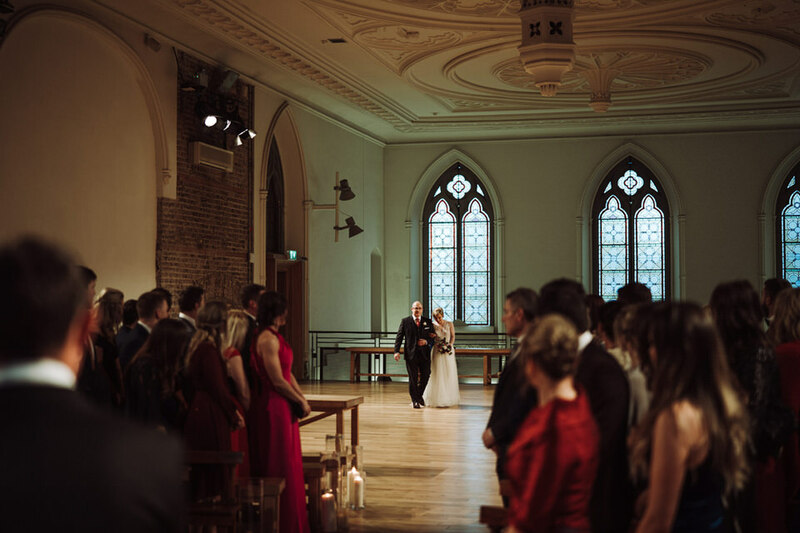 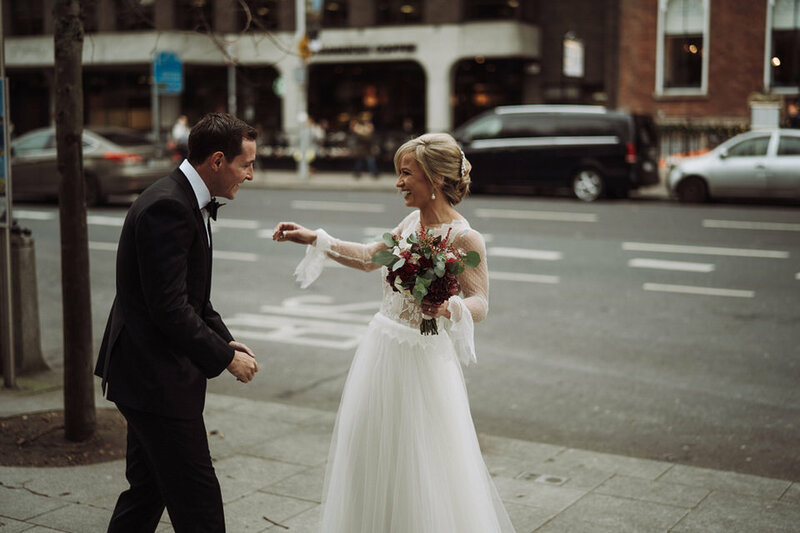 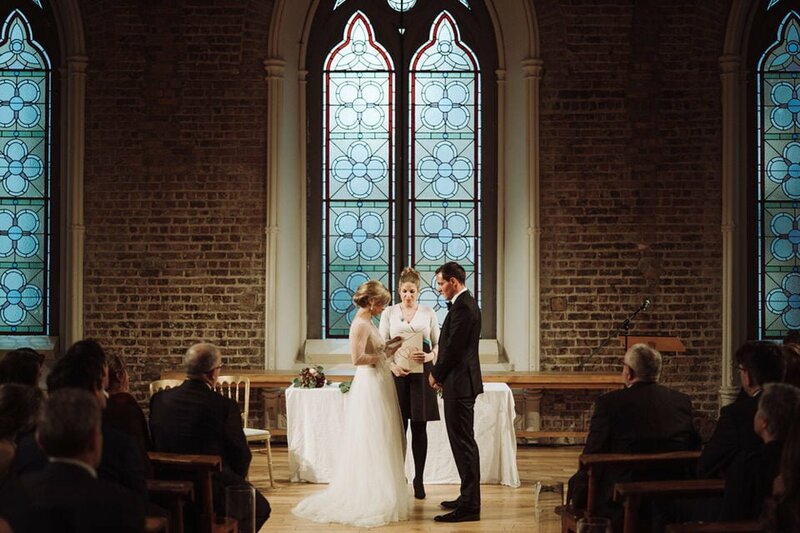 The drink’s reception at Kehoes, in South Anne Street, Dublin was the best part of the wedding day, as the couple enjoyed their walk through the Temple Bar, Dame Street and Grafton Street from the humanist ceremony at lovely Smock Alley Theatre. 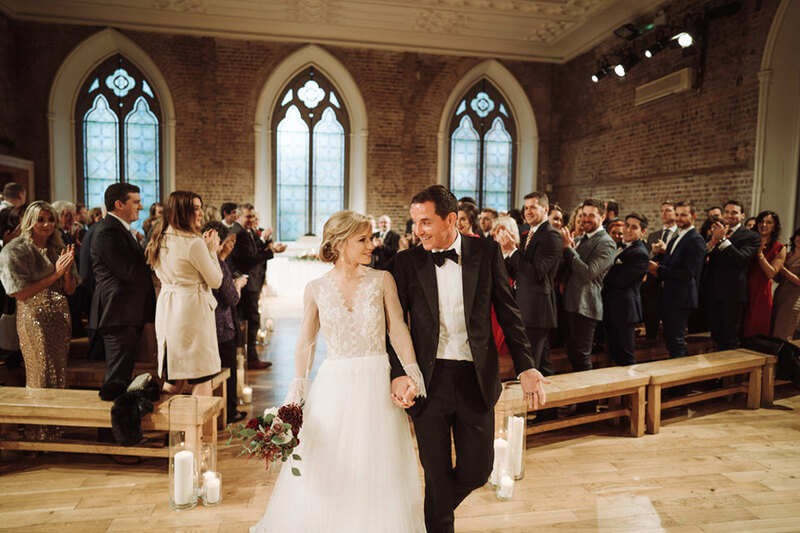 Lastly, the couple can’t thank enough Fionnula Cullinane, the best friend, who made sure everything was in order throughout the day. 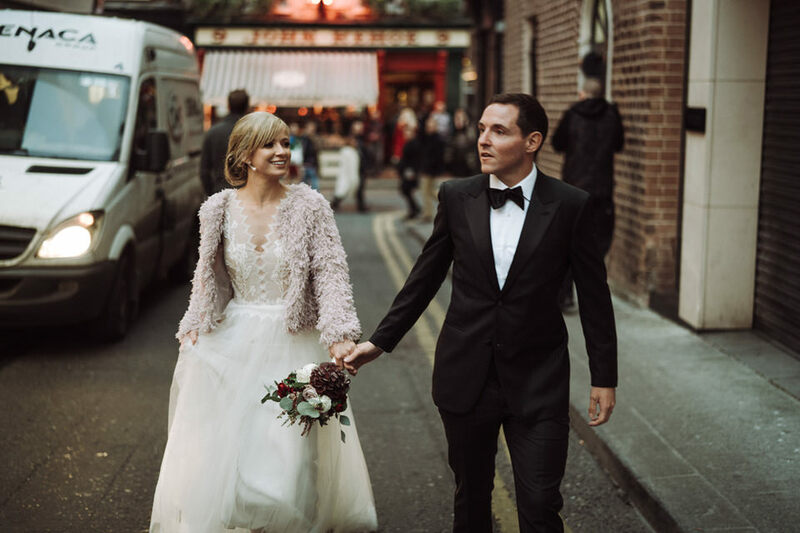 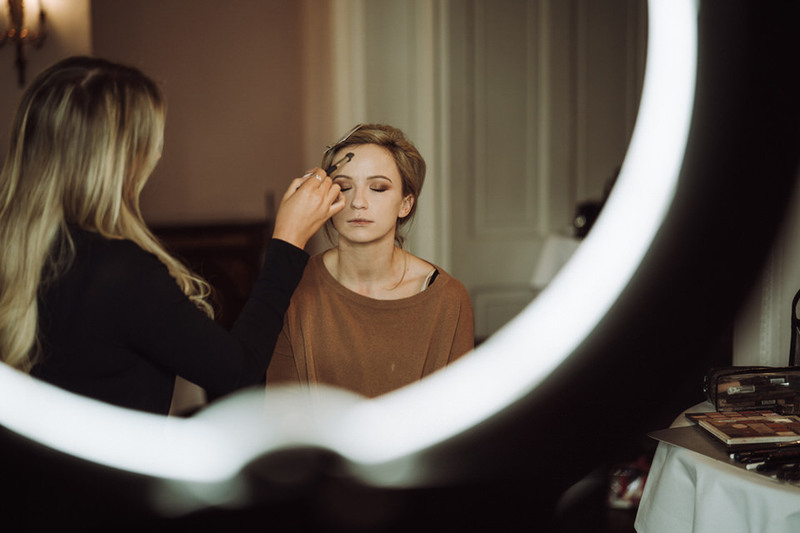 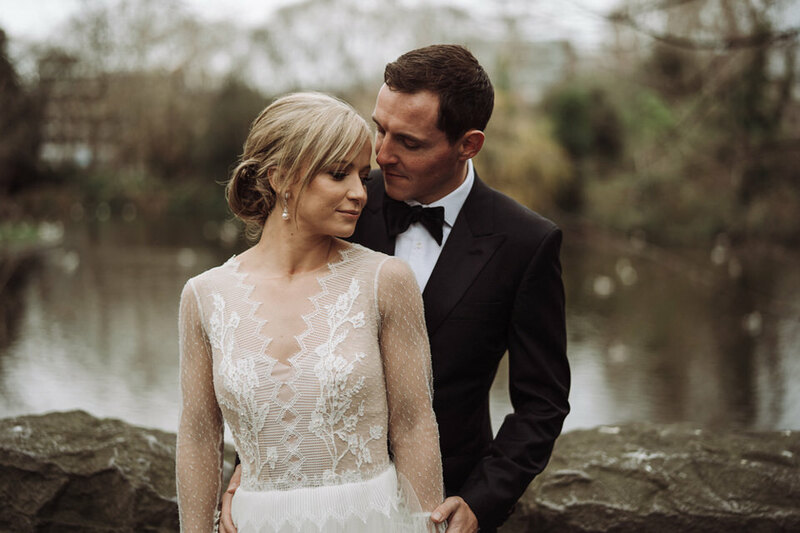 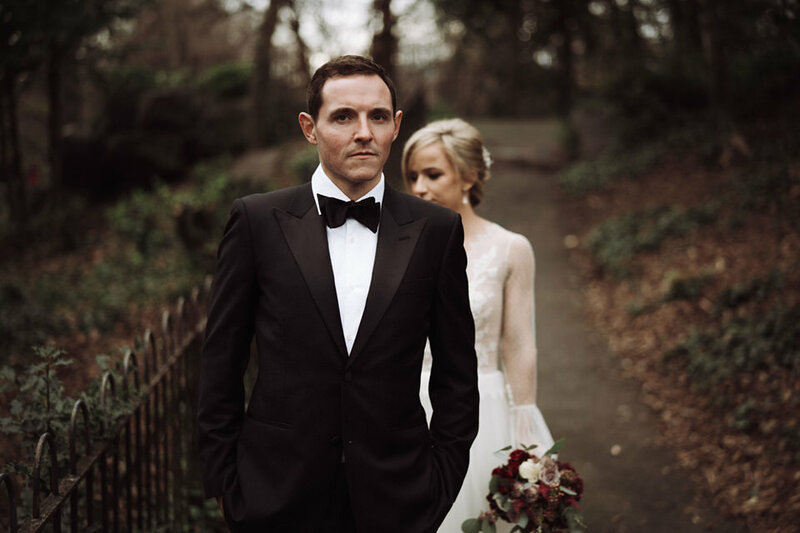 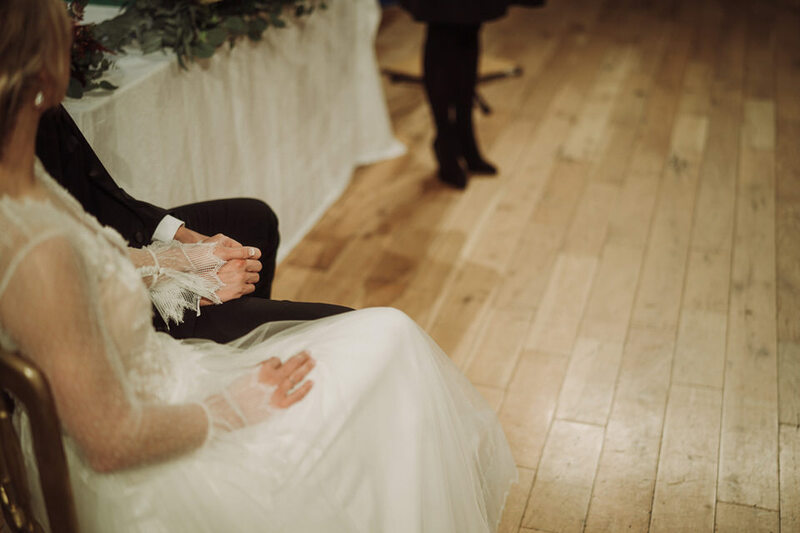 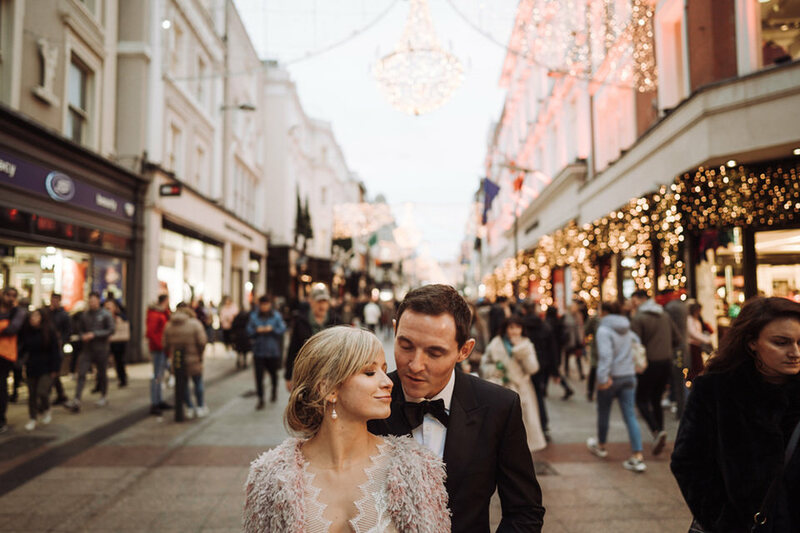 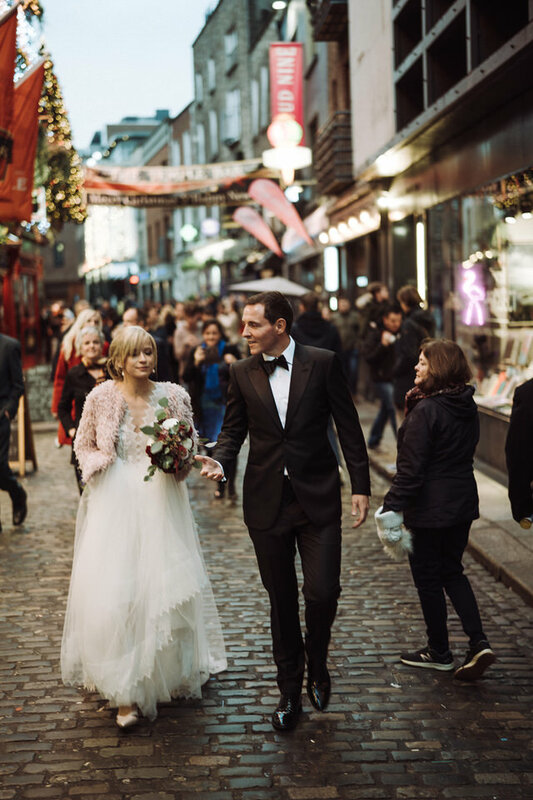 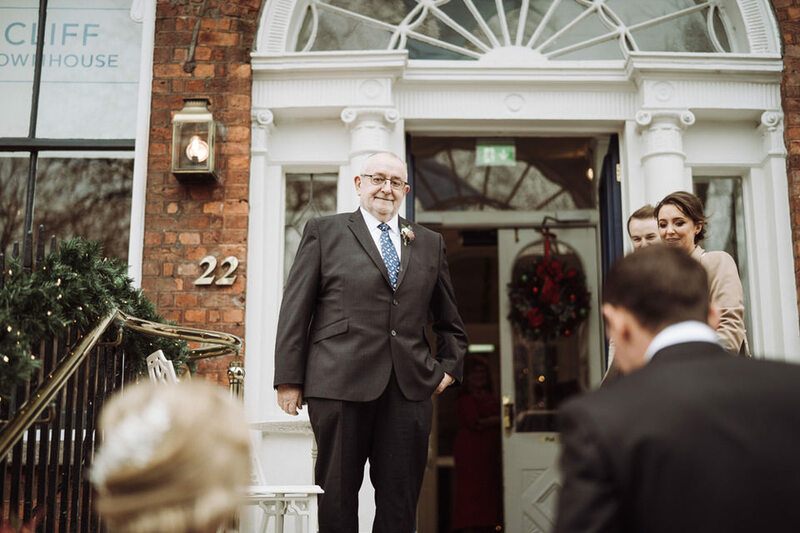 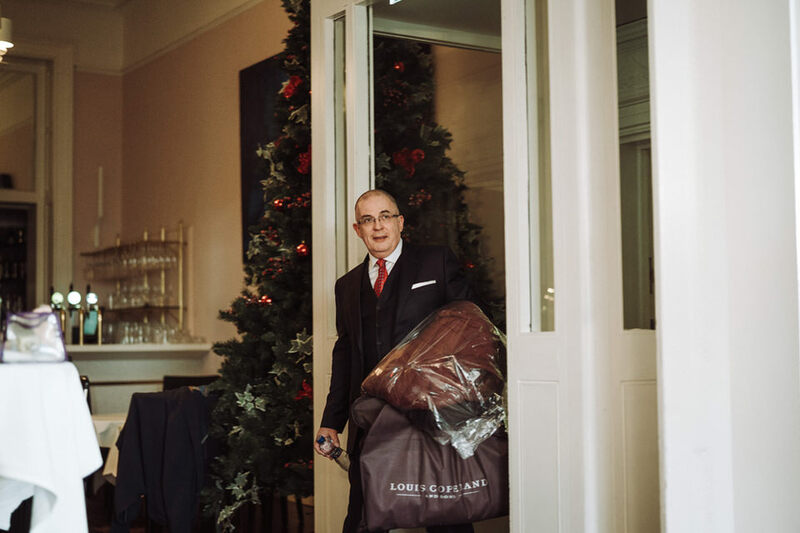 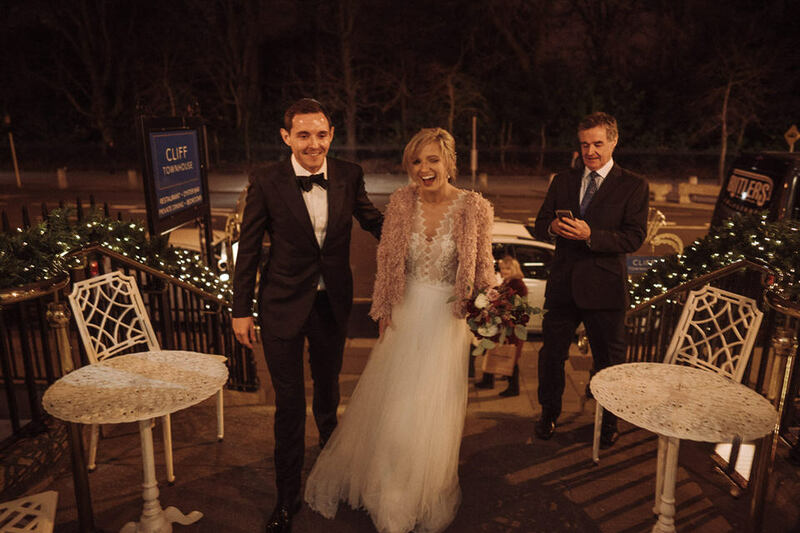 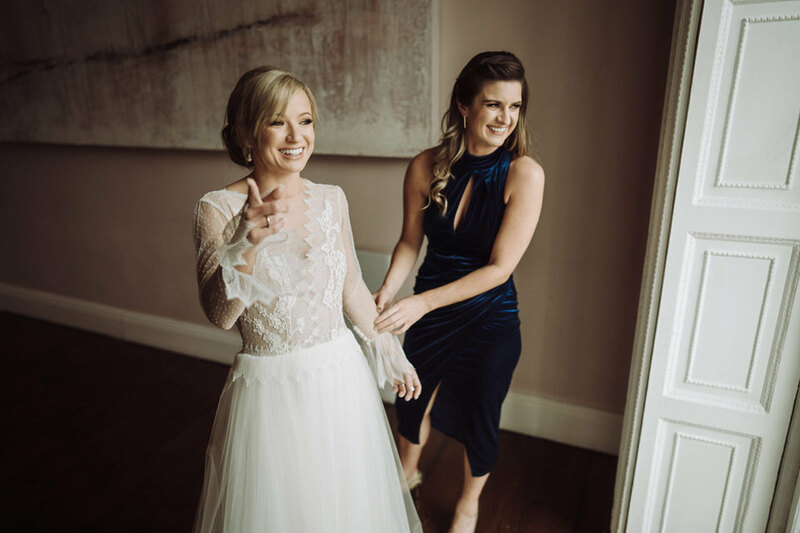 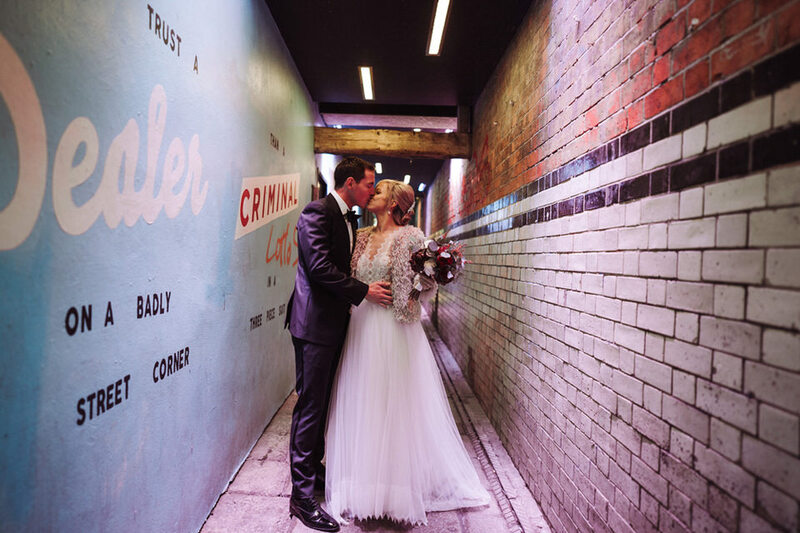 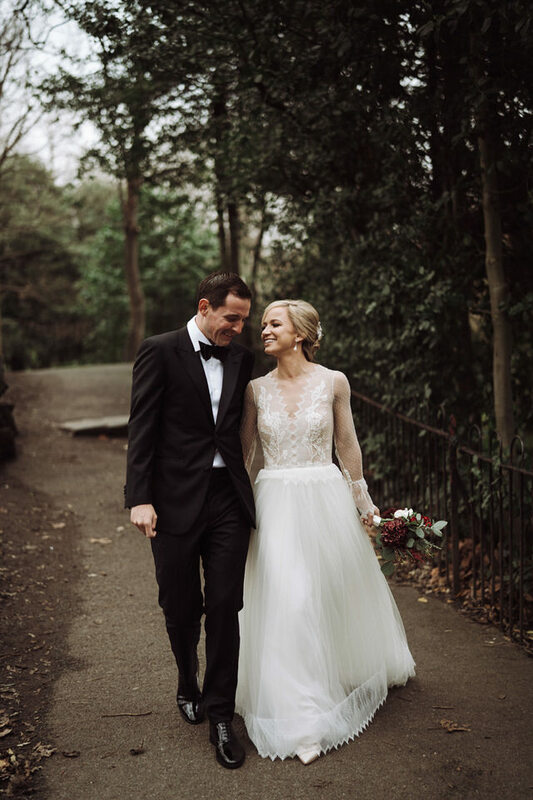 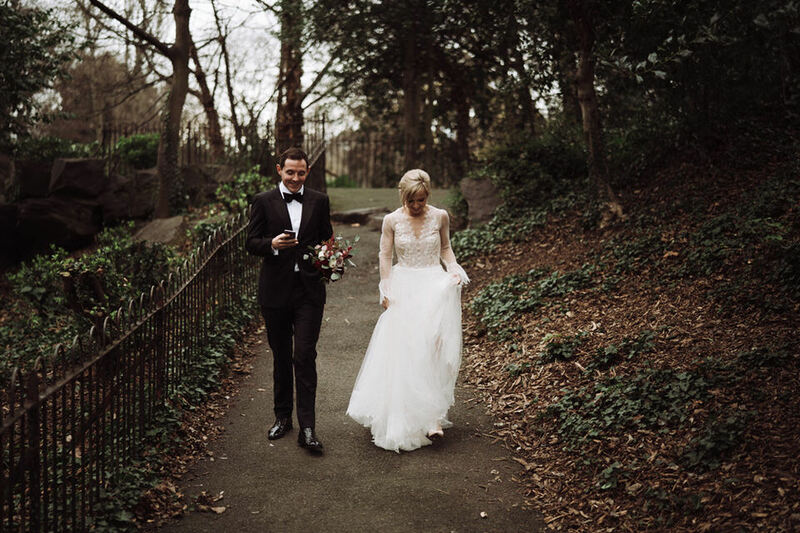 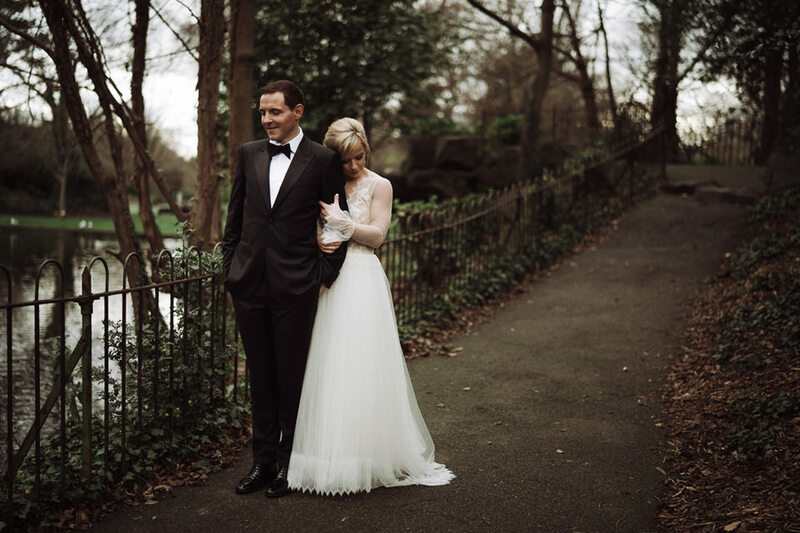 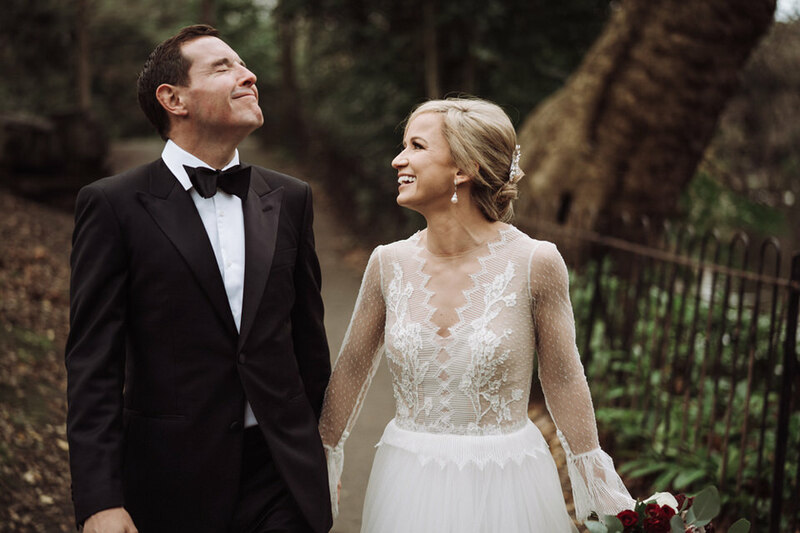 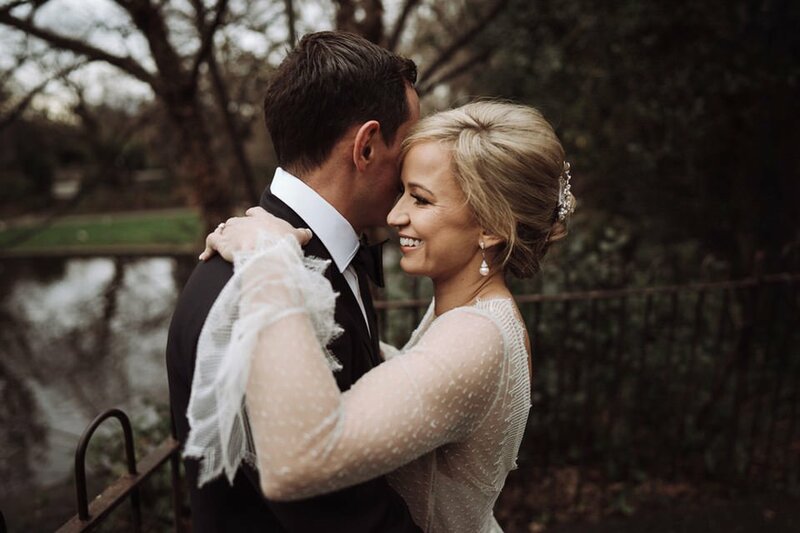 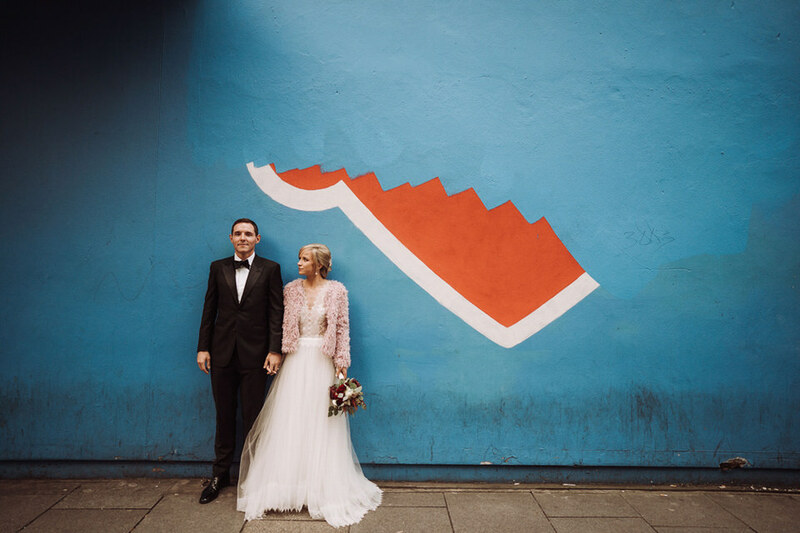 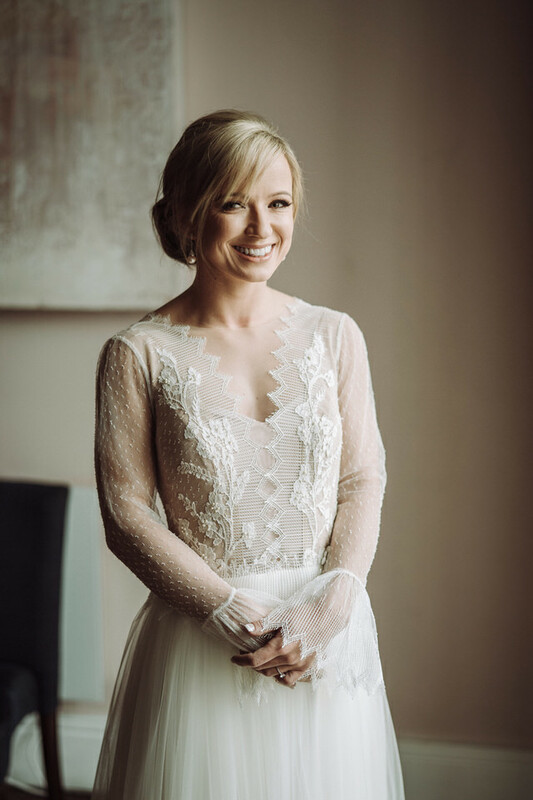 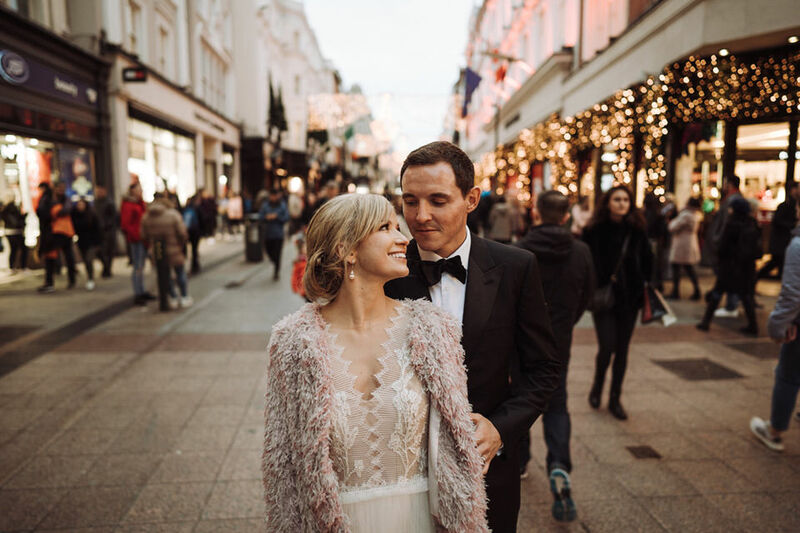 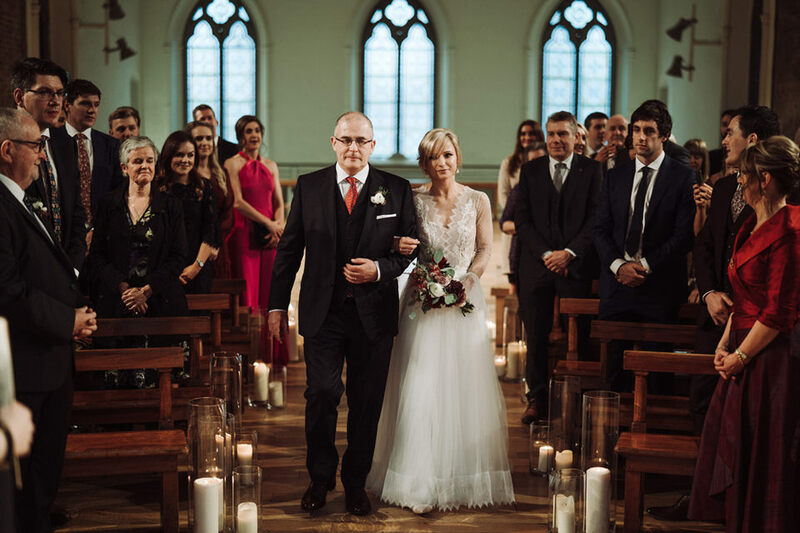 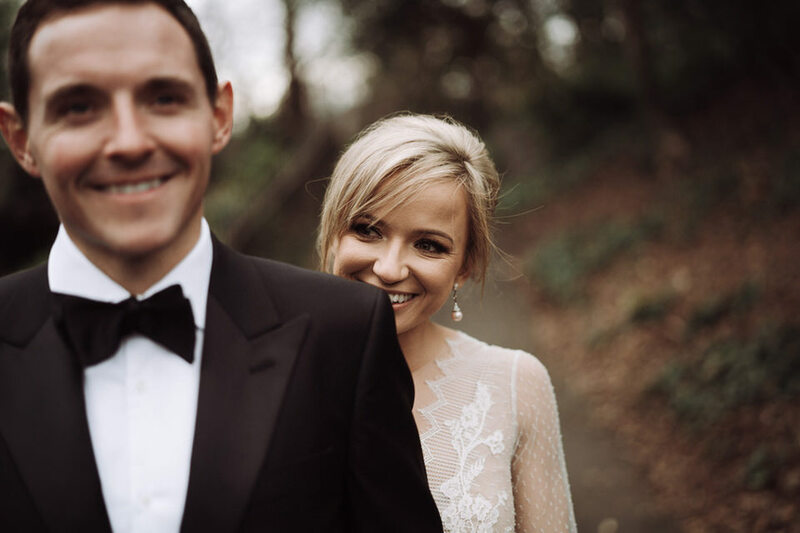 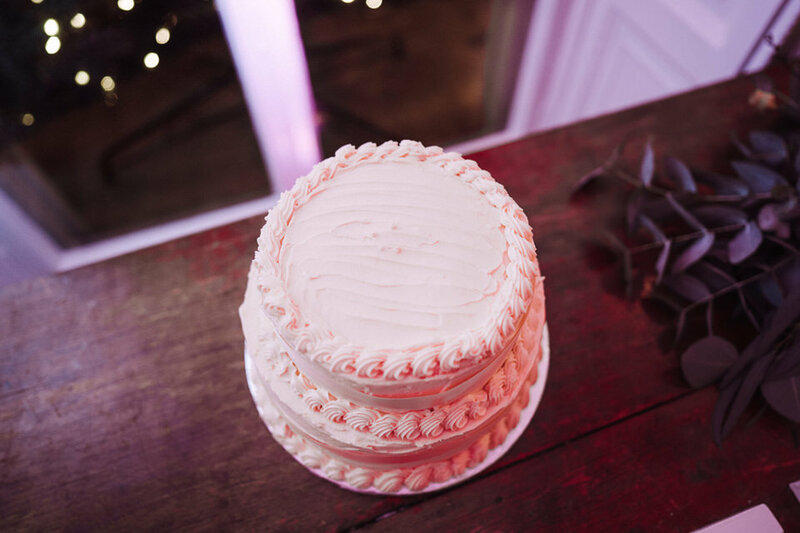 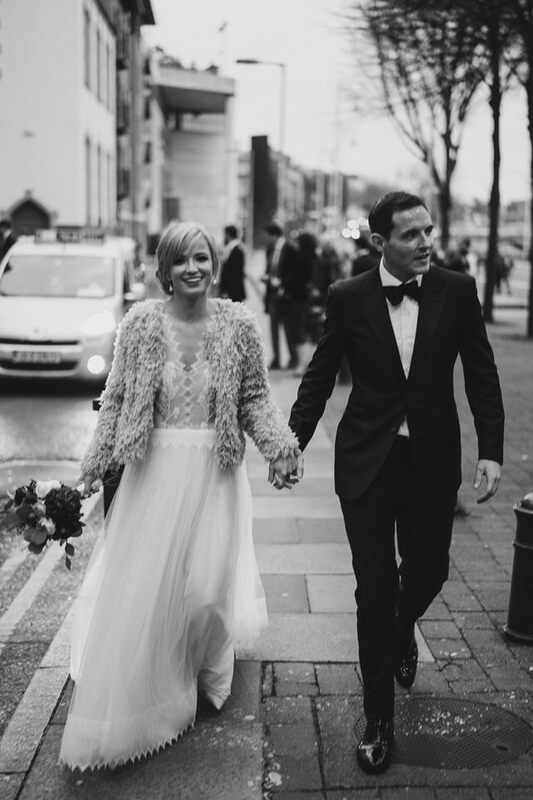 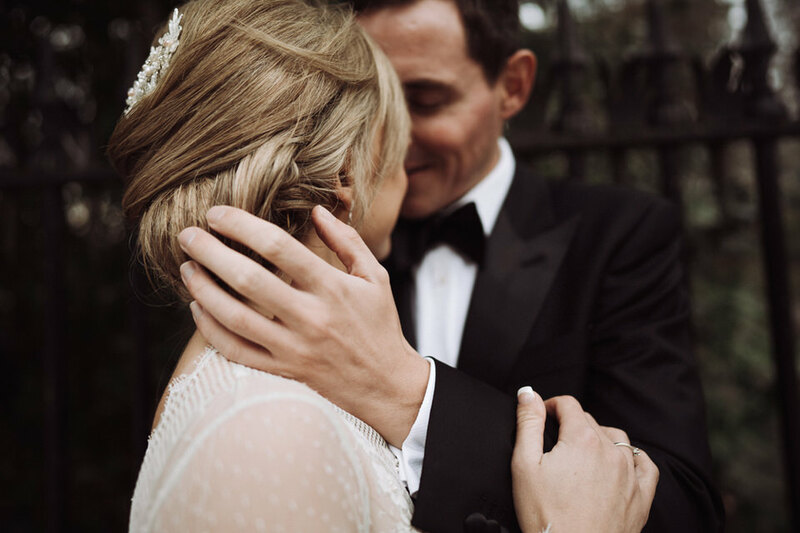 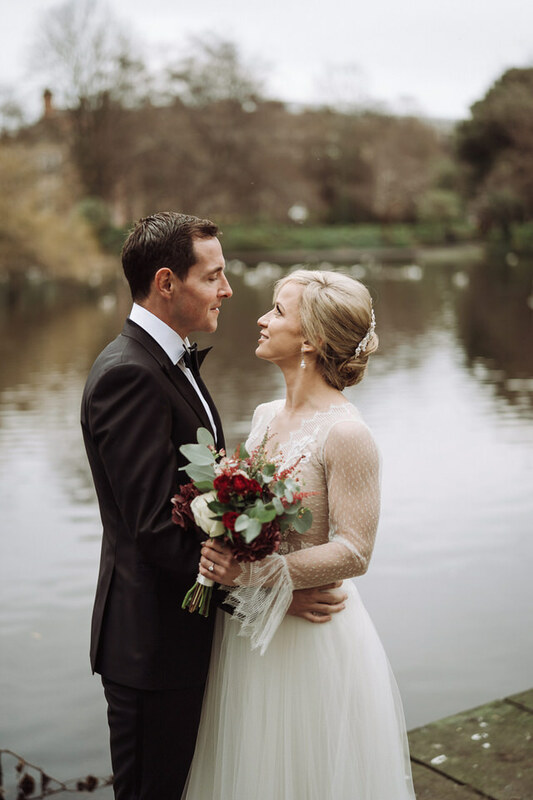 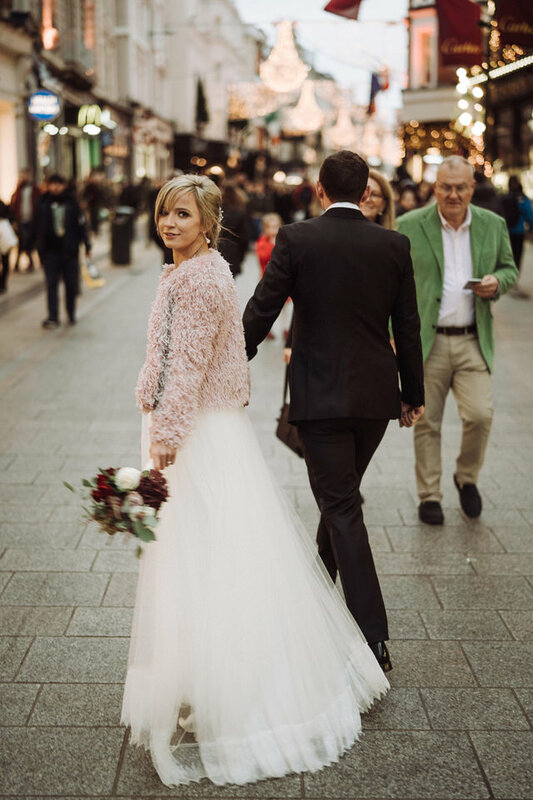 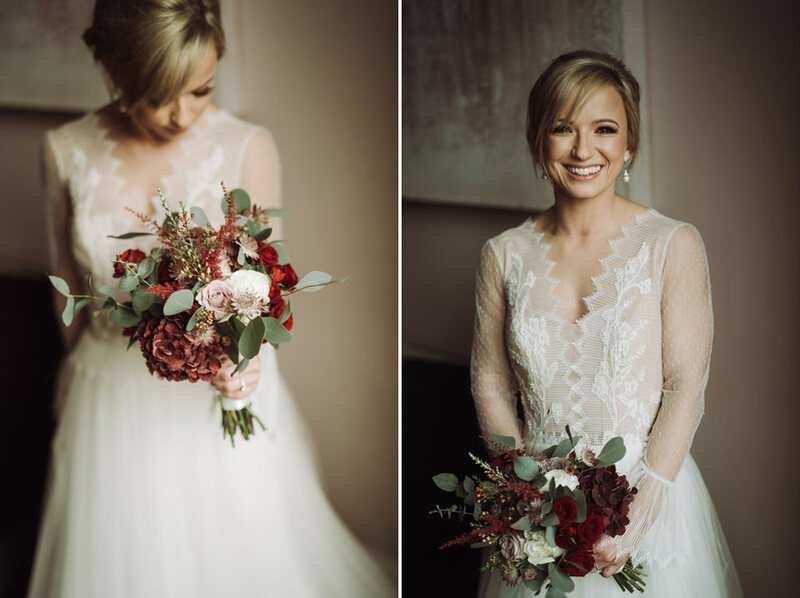 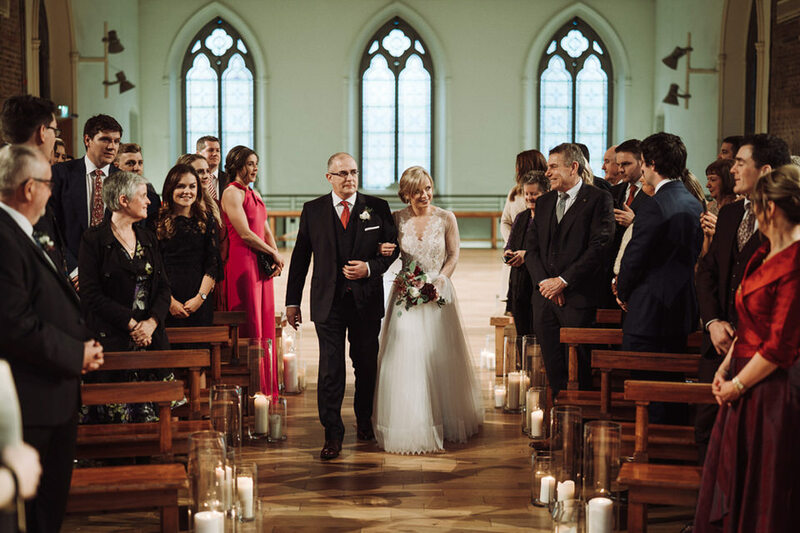 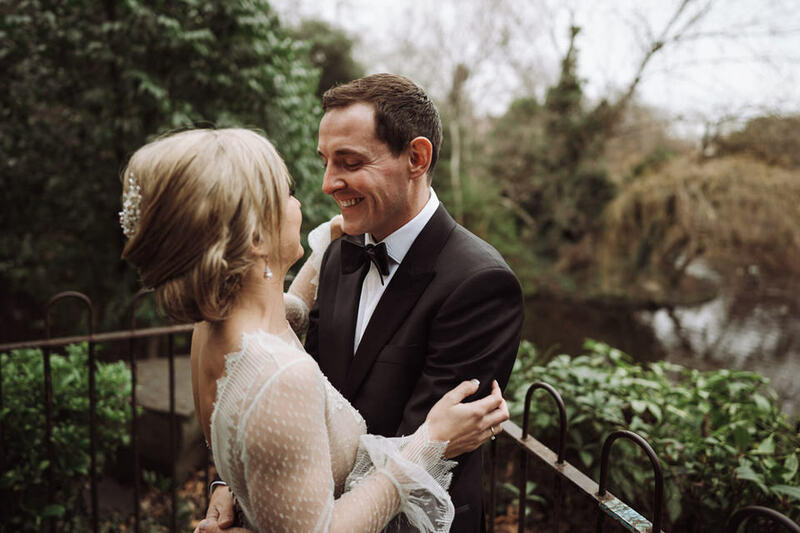 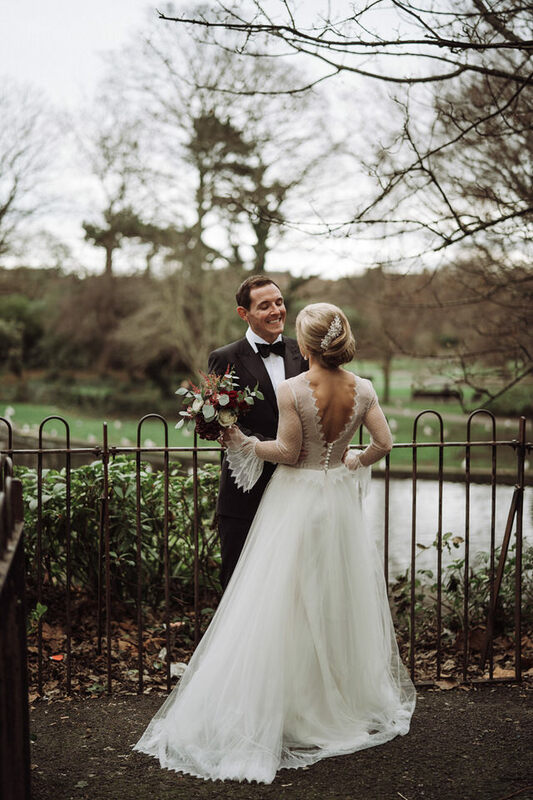 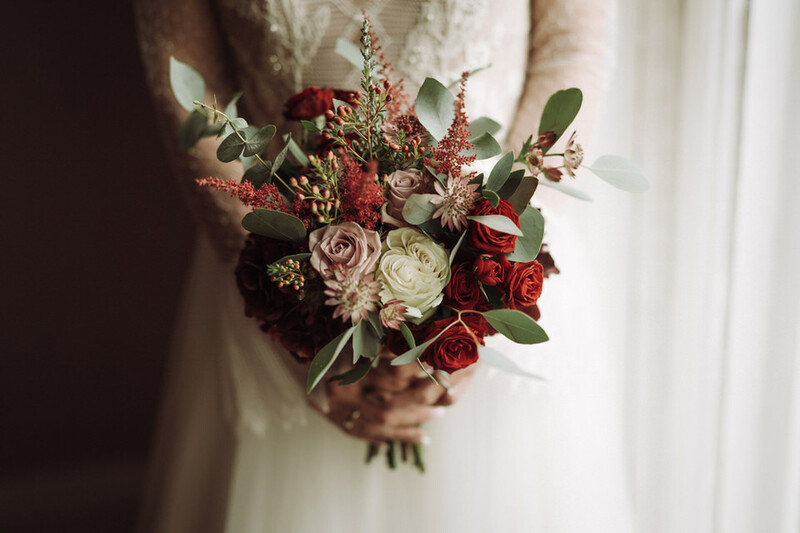 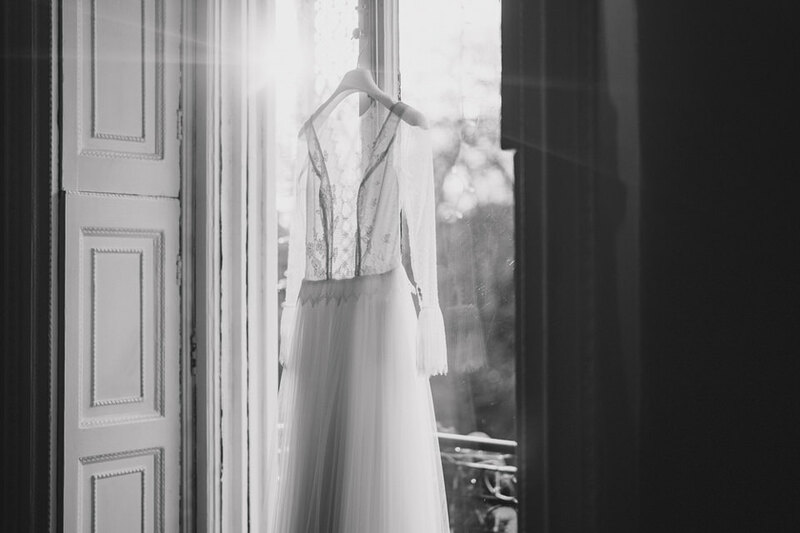 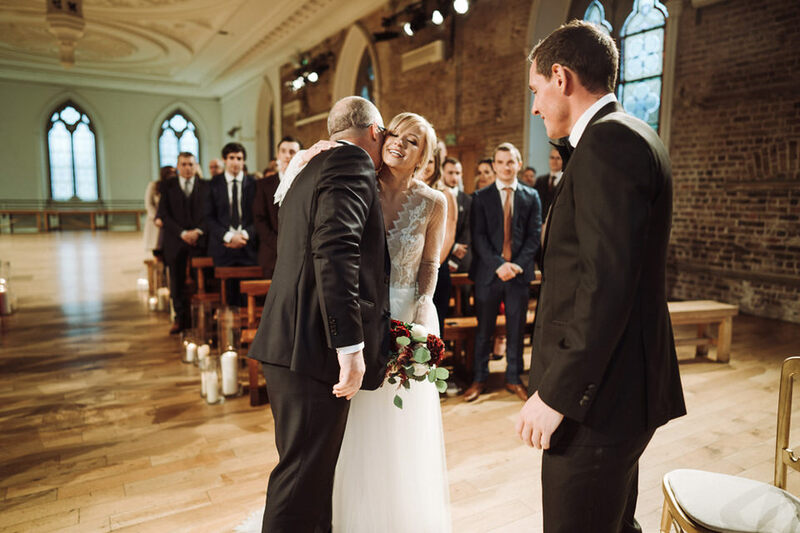 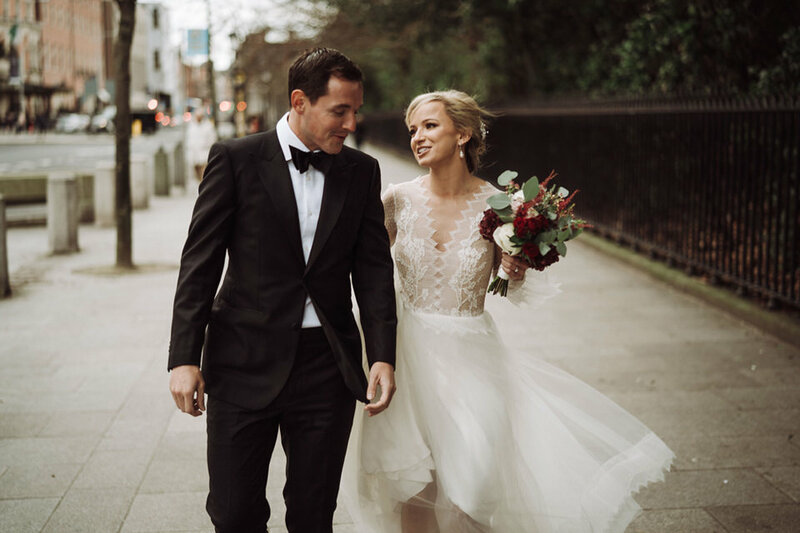 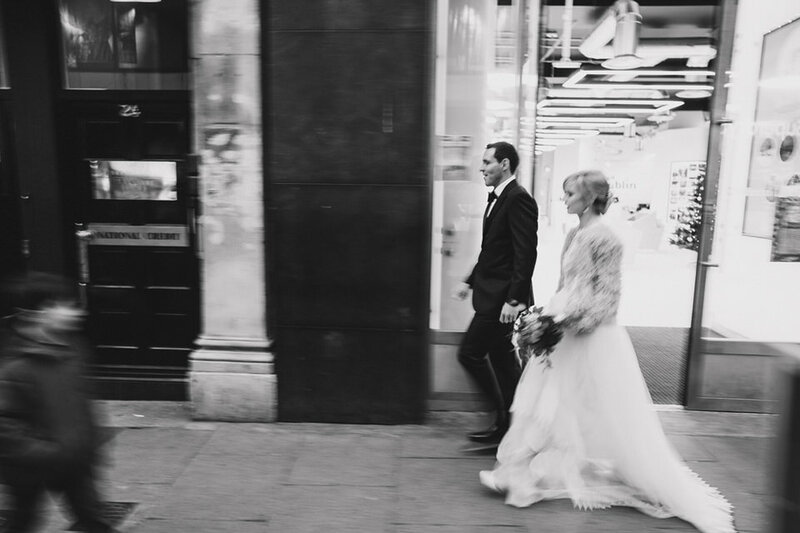 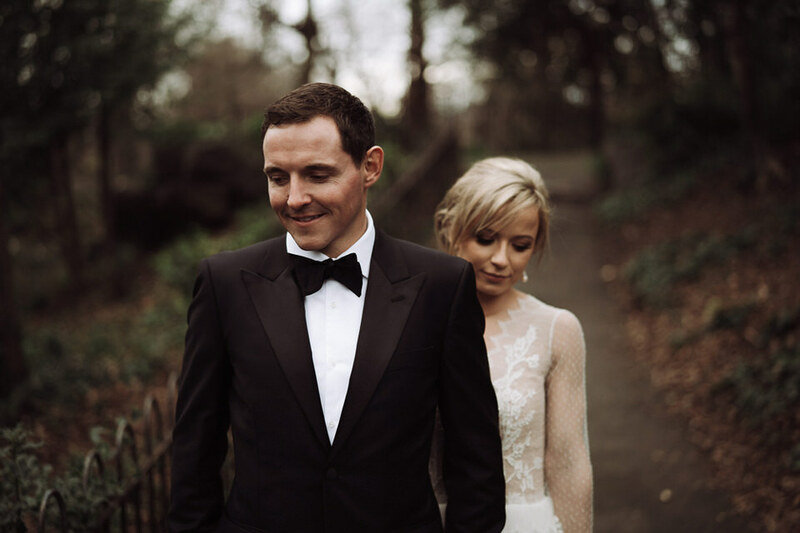 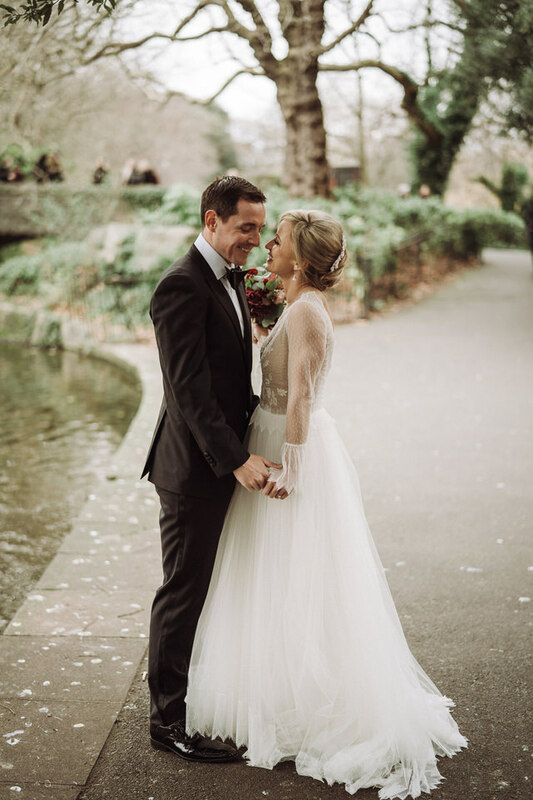 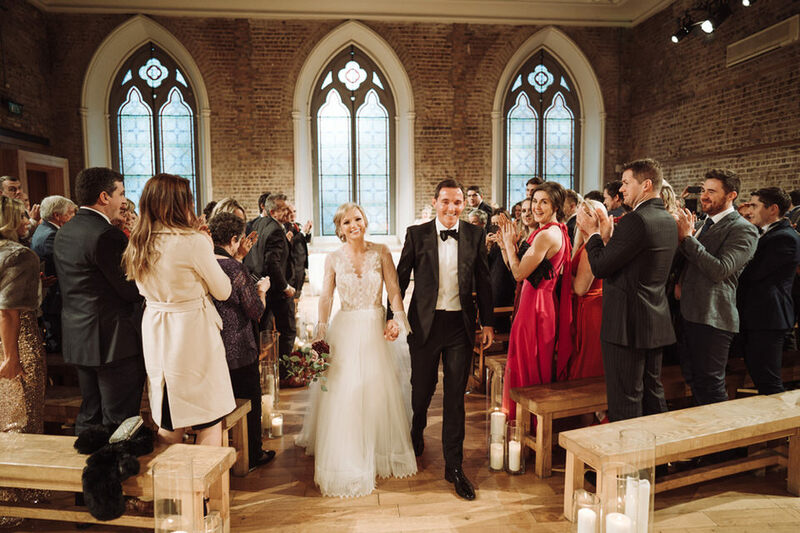 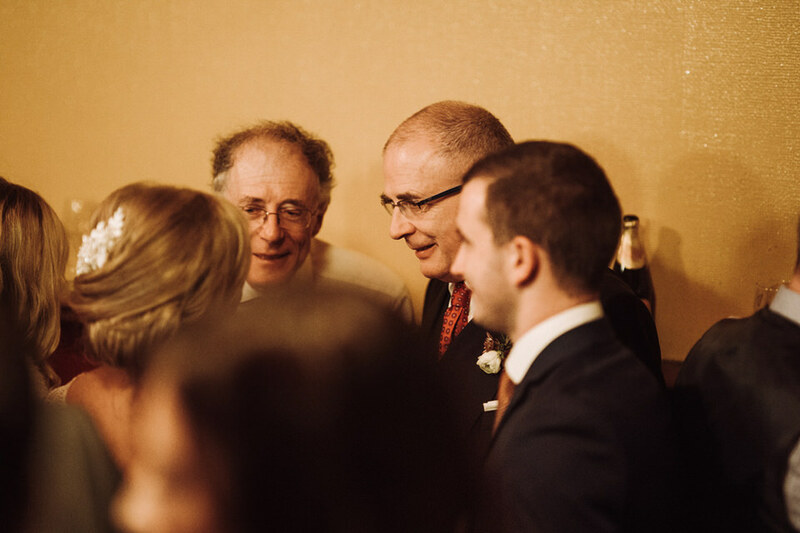 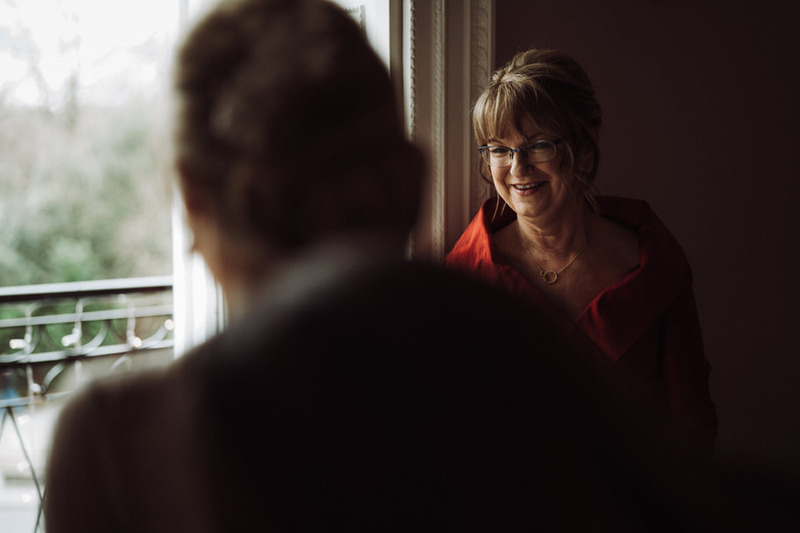 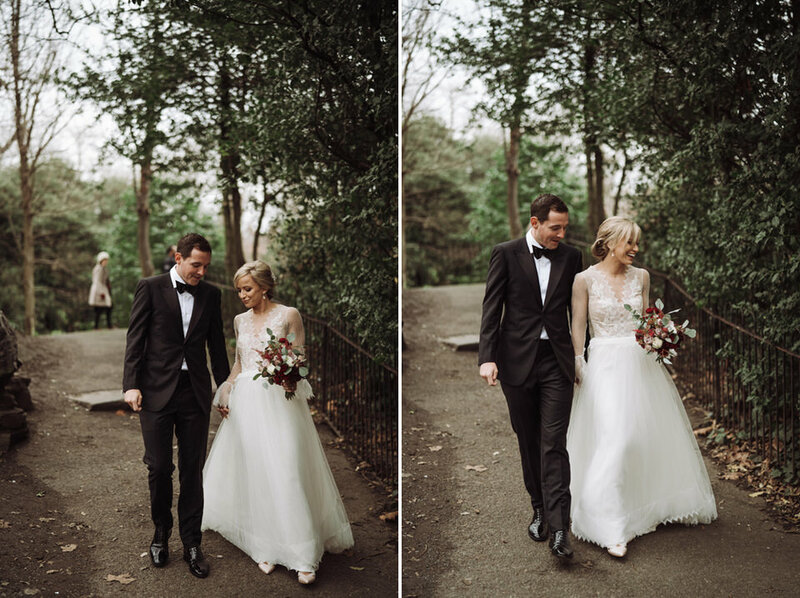 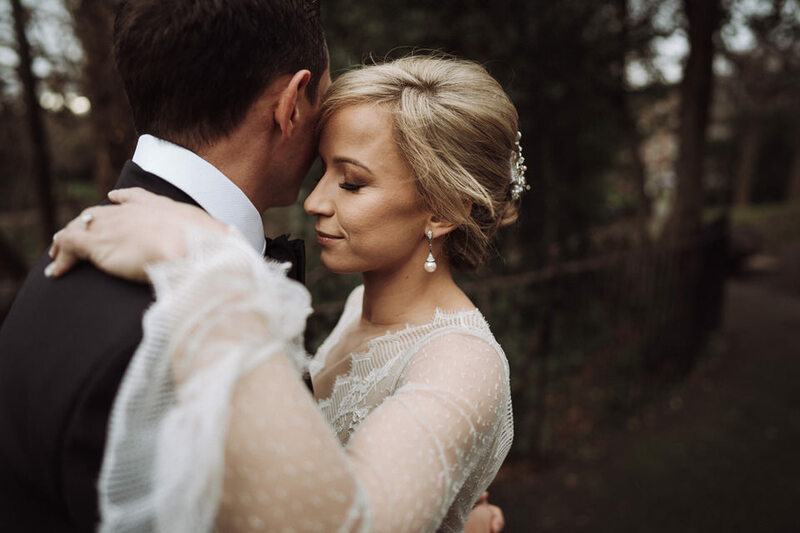 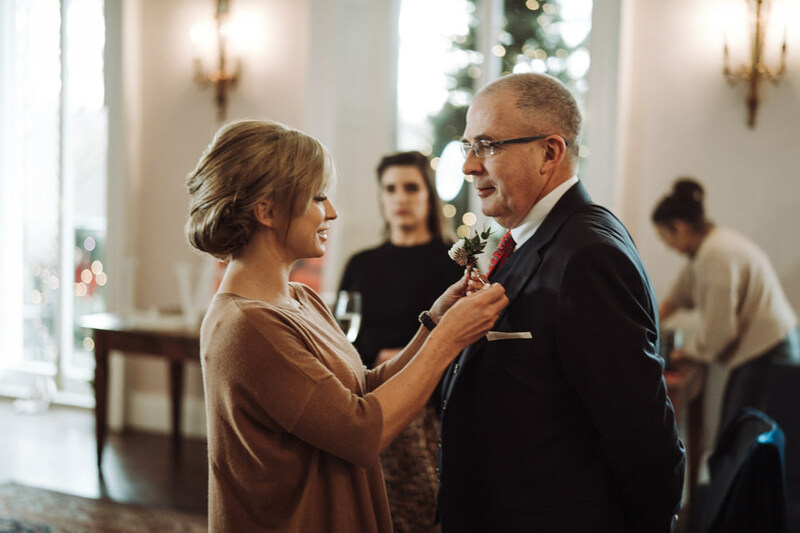 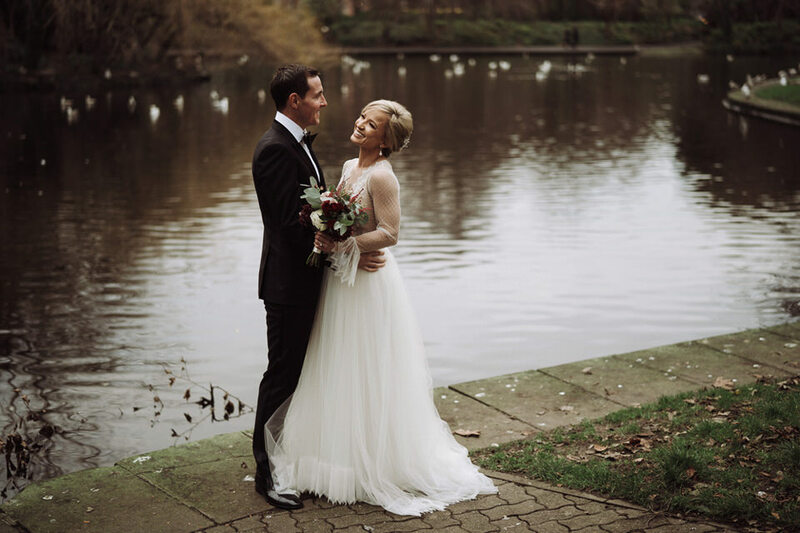 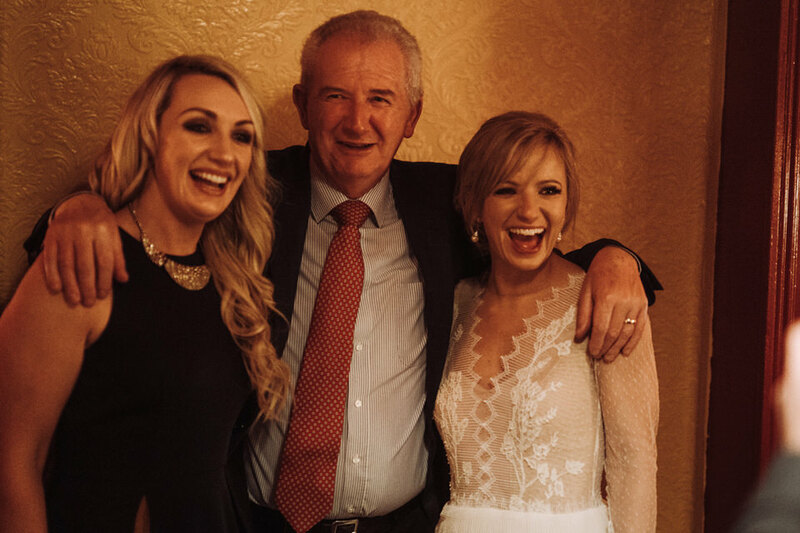 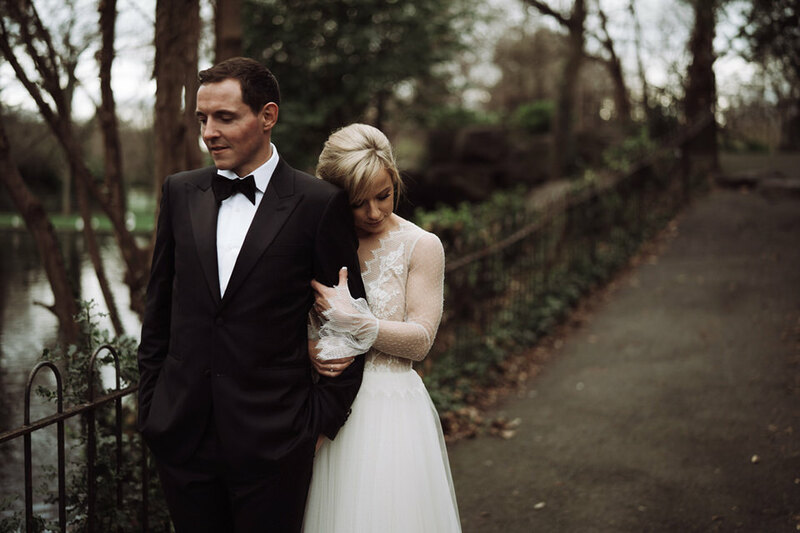 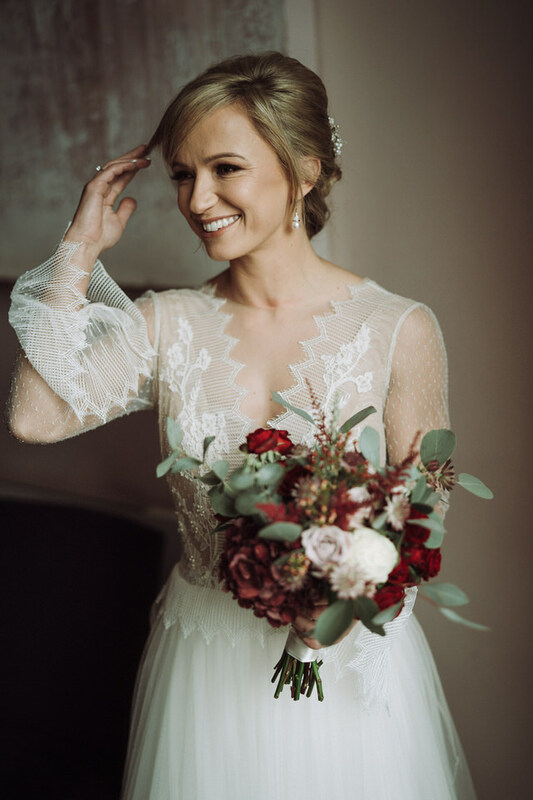 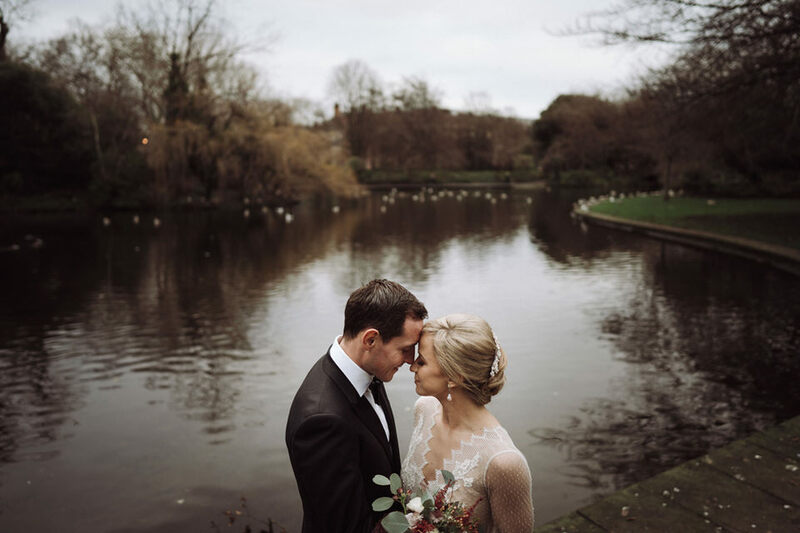 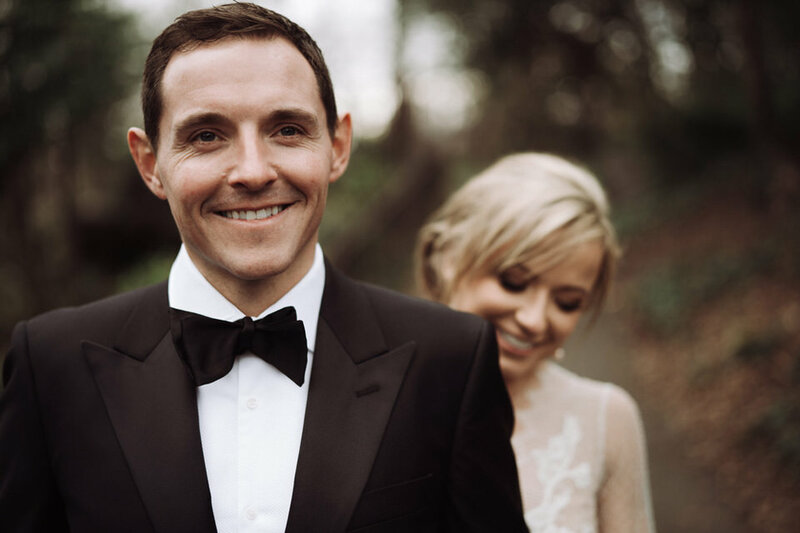 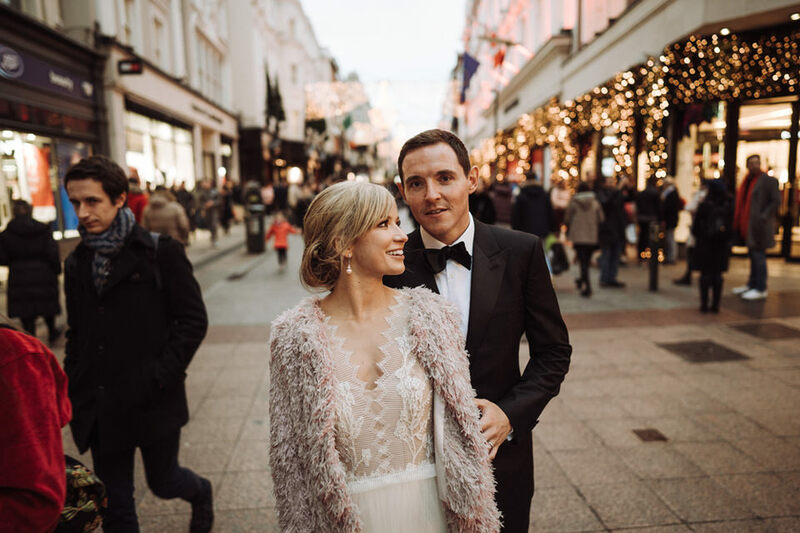 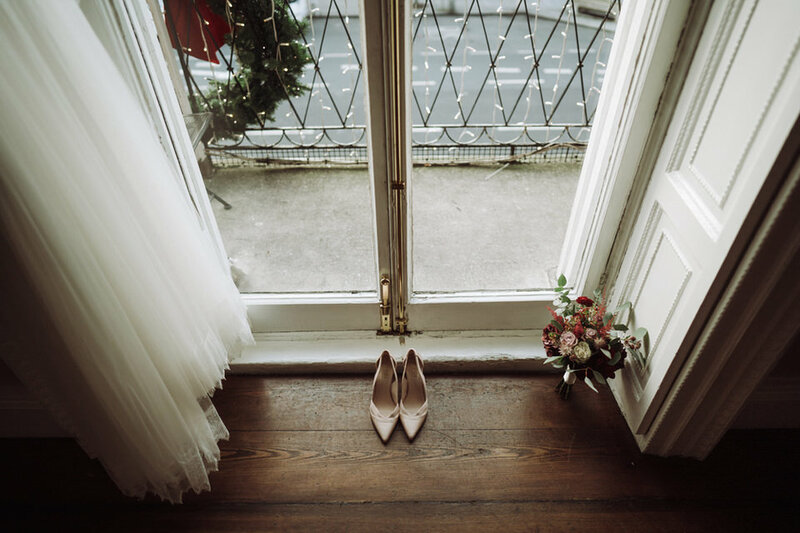 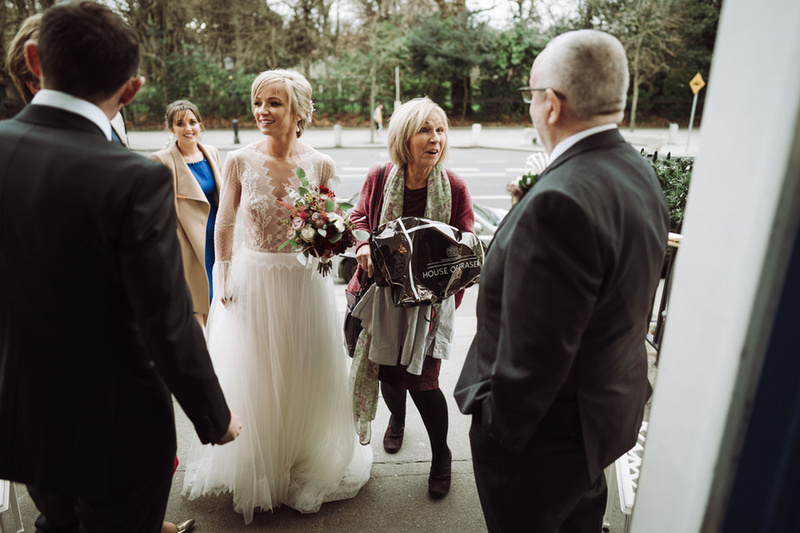 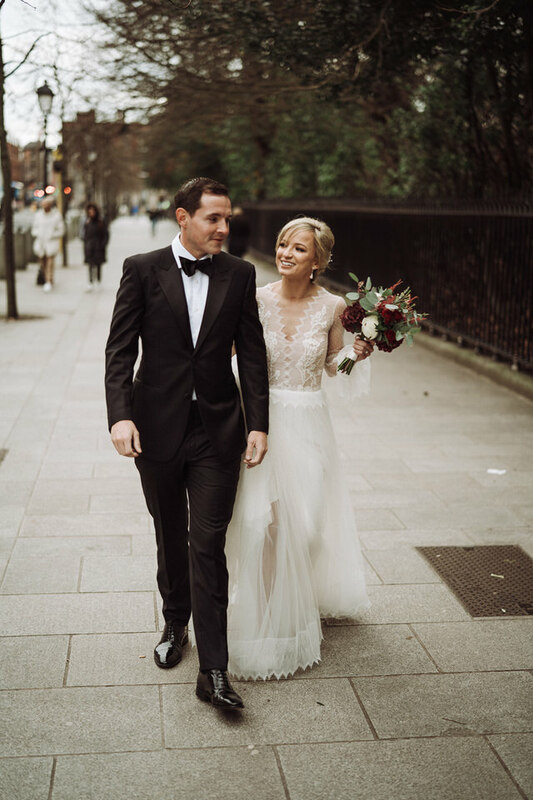 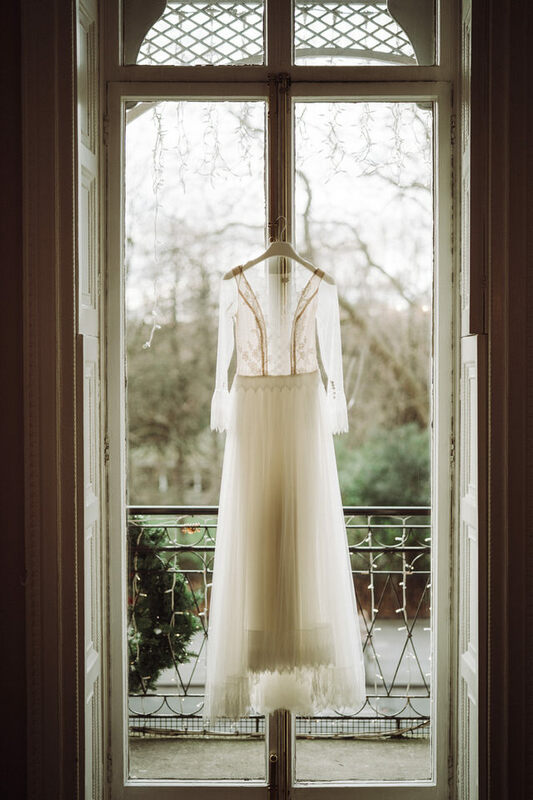 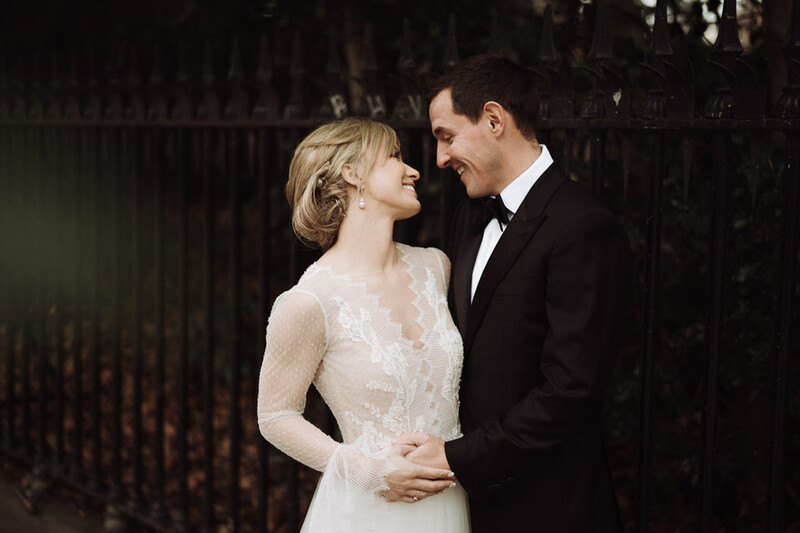 Looking back, Sarah and Colm would not want to change a single thing from their wedding day, as they had the best time celebrating their special day without being constrained by the age old wedding traditions. 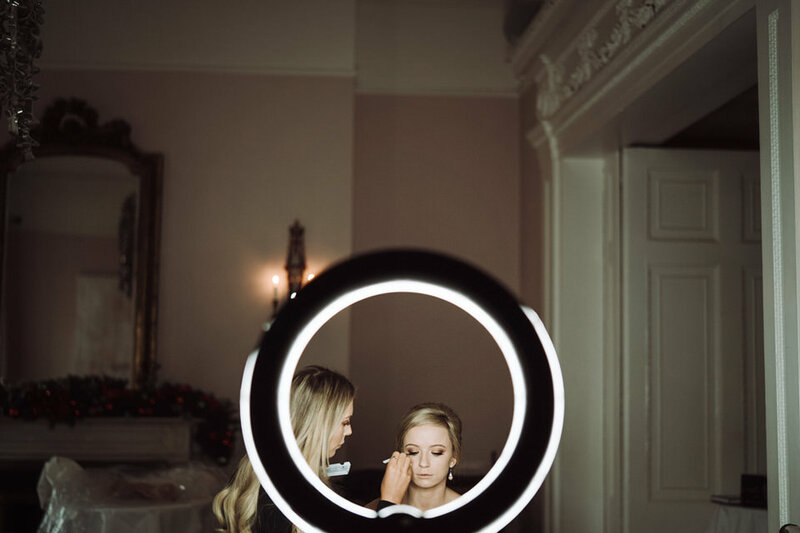 Makeup Breifne (formerly) Callan & Co.